This is the perfect time for the DM to call for a "treasure roll." A treasure roll is 2d4 + your proficiency bonus, followed by a d100 roll. If the party is comprised of members with differing levels, use the highest proficiency bonus among them. The two results of this roll can be used to find a treasure on the table below: the first roll determines the column, while the second roll determines the roll. Generally higher results will be more valuable items. The DM might make this roll on the party's behalf, depending on the circumstances. The DM is encouraged to have treasure rolls as often or as infrequently as the adventure advocates. As a very rough guideline, for each player in the party there should be between one and five treasure rolls between each level. If you seek to have perfectly balanced rolls, it may be most appropriate to have rolls between each level be equal to each player's proficiency bonus minus one. (E.g., one roll during 3rd level, and five rolls during 18th level.) Although more treasure rolls will empower the party and make them more powerful, the effect on the campaign's balance shouldn't be too drastic even if you never roll nor if you roll thrice as often. "Rolling for treasure" in Hyrule is intended to be a more intuitive and spontaneous form of finding treasure than comparable guidelines in the DMG and in Xanathar's Guide to Everything. This method should generate a comparable level of treasure, albeit with much greater chances of finding magic items and no guarantees of finding material wealth. In addition to the more obvious uses of finding treasure in the chests or in the wild, this method can also be used when searching for or generating magic items to buy, among other possibilities. For column, roll 2d4 + proficiency bonus. For row, roll d100. RARoll Again. Add this result to the treasure you earn, then make another Treasure Roll to earn more. Tiaras, beautiful seashells, precious jewelry, regal crests, fossils, idols cast from gold, paintings—art objects include all these and more. Due to the perceived value of such treasures, they can always be sold for at least their full cost in markets. They are usually of lighter weight than their value in rupees. Despite the beauty and value of art objects, they lack any properties an adventurer might find particularly useful. The preceding treasure table includes some examples of art objects which could be found in Hyrule. A "material" is any item in Hyrule which contains magical potential or uses in high levels of crafting. There are thousands of materials across the Light World, but a few of these are included in the treasure table above. Some more renowned examples include Eldin ore, a flower known as the silent princess, gasha seeds, and chu jelly. When crafting, or commissioning the craft of an item, you can use the full rupee value of material in place of "rupees worth of material components." If crafting plate for example, the material cost can be reduced by 30 rupees by using Eldin ore as a material. Your DM may decide that some materials can only be used for crafting certain types of items. 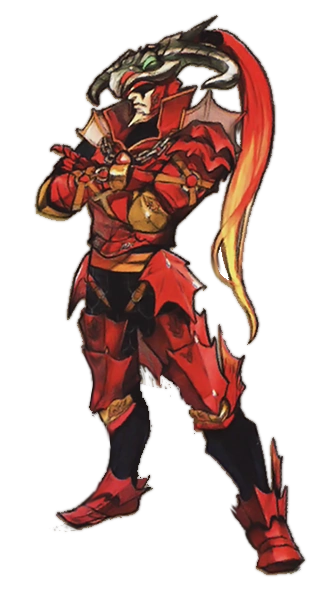 Eldin ore might be useful when crafting metal armor for example, but perhaps not when crafting a wooden bow. If selling any material outright, it retains the half-value return that applies to most ordinary objects when sold. Amber, rubies, sapphires, emeralds, diamonds, and other precious minerals are considered gemstones. In Hyrule, gemstones are not only beautiful but contain untapped magic potential. The treasure table above includes a few of the more renowned gemstones found throughout the Light World. Gemstones are as valuable as art objects, as they always sell for their full cost. Gemstones are also valuable as materials, as they can reduce the costs of crafting magic items. In effect, a gemstone has the benefit of both an art object and a material, making it at least as useful as either in isolation. The air potion is a bottle of glittering pale violet fluid. A creature who drinks the entirety of it does not need to breathe for the next 10 minutes. Drinking or administering a potion requires an action. This magic arrow is a masterful restoration and improvement on the most powerful of ancient wizardry. Its arrowhead glows dimly with a pale, eerie blue light. A creature hit with this arrow takes an extra 4d10 force damage. If after it takes this damage the creature has 50 hit points or less, it explodes apart in a burst of bright pale-blue light, killing it and leaving no corpse. After this arrow hits a target, it is no longer magical. This magic shield was masterfully recreated using ancient Sheikah technology. Its surface glows blue when raised in defense. While wielding it, you have an extra +2 bonus to AC, have resistance to force damage, and do not take damage from the magic missile spell. These magic earrings are made with a gem said to harness power of the earth to increase resilience. While wearing them you gain a bonus to AC determined by the item's rarity. The bonus is +1 for rare, +2 for very rare, and +3 for legendary. This magic ring features a bright sapphire, which seems to glow whenever you open your palm and pull your fingers back. 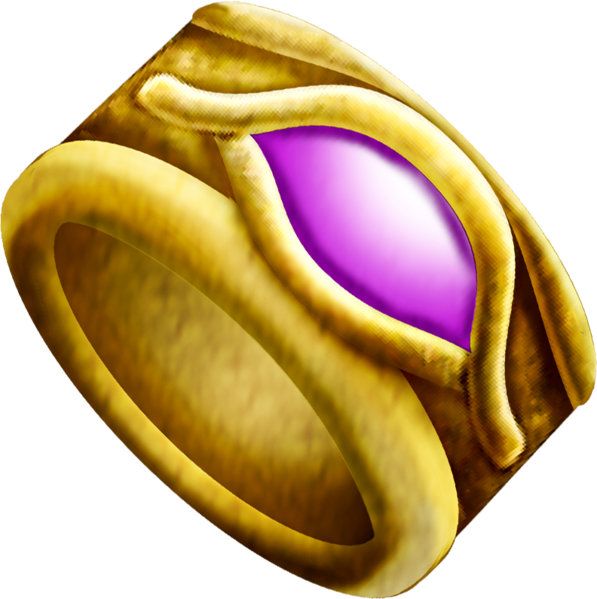 While wearing this ring, you gain a bonus to your AC determined by the ring's rarity. The bonus is +1 for rare, +2 for very rare, and +3 for legendary. This magic seed has the appearance of a transparent, well-cut, and pristine diamond. At any point on your turn, while the seed is in your hand or between your teeth, you can crush it. Doing so does not require any action, but you must be able to take an action to do this. After you crush the seed, you gain resistance to all damage for 1 hour. This magic hide armor was designed and magically enchanted by an ancient warlike tribe, and hints of that once-powerful sorcery still linger within it. While wearing this armor, you have a bonus to Strength-based weapon damage rolls and Strength (Athletics) checks. The exact bonus depends on the rarity of this armor: +1 for common, +2 for uncommon, and +3 for rare. This magic golden medallion has the likeness of a honeybee etched on one side. While you have this badge on your person, any Tiny bug, arachnid, or insect with a Challenge Rating lower than 1 will never be hostile towards you or anyone in your immediate vicinity unless directly provoked. According to legend, this imposing greatsword was forged by a gigantic goron. You have a +1 bonus on attack rolls with this magic weapon, and any hit with it deals extra 2d6 slashing damage. This ominous mask completely covers your skull with a black sphere. You can see out of it, but others cannot easily see in. While wearing the mask, you can use your action to speak the command word. Doing so causes your body to emit a fiery explosion. You and every creature within 10 feet of you must make a DC 13 Constitution save. A creature takes 10 (3d6) fire damage on a failed save, and half as much on a success. Once you activate the mask, it cannot be activated again for 1 minute. This rod features a glowing white tip surrounded in blue accents, reminiscent of a snowflake, and is always cold to the touch. Cold Cantrips (requires attunement). While wielding it, you have a bonus to attack and damage rolls with cantrips that deal cold damage, as determined by this weapon's rarity. Melee Weapon Attack. You swing the rod, which on a hit deals magical piercing damage equal to 1d4 + your Strength modifier, plus cold damage equal to this weapon's rarity bonus. Ranged Spell Attack (costs 1 mp). You swing the rod, and a mote of cold leaps from the tip up to a range of 60 feet, which on a hit deals 3d6 cold damage. You add your Intelligence modifier plus this weapon's rarity bonus to the attack and damage rolls of this attack. Crushing Ice (costs 2 mp). Very rare or legendary only. You cast glacial crash as a 1st-level spell, but increase the DC by an amount determined by this spell's rarity bonus. You can use your casting ability if you have the Spellcasting feature, or use Intelligence as your casting ability. Freeze (costs 3 mp). Legendary only. Target a creature within a range of 30 feet that took cold damage since the end of your last turn. Until the end of that creature's next turn, its speed becomes 0, and it can't take reactions. This magic scale mail was forged from hide from one of the legendary dragons known as blizzagia. While wearing it, you have resistance to cold damage. Gain immunity to cold damage until the start of your next turn. The armor regains 1d4 + 1 charges daily at dawn. A creature can use its action to touch this armor and expend 5 magic points to restore one charge. You can treat this magic armor either as a chain shirt or a full set of chain mail, depending on how you wear it. While you are attuned and wearing it, you have resistance to bludgeoning, piercing, and slashing damage. Immediately after you drink the entirety of a blue potion, you restore 50 hit points and either 12 magic points or 12 stamina points. Drinking or administering a potion requires an action. While you are attuned and wearing this magic ring, you have damage resistance to bludgeoning, piercing, and slashing damage. By using the pages of this magic tome, you can translate any written language to any language you can understand at the rate of 6 seconds—or one round—per word. The book gives you no insight into how the language is spoken. You can't you use it to translate a language you know into a language you don't understand. While holding this magic book in one hand and a magic rod in the other, you can use your bonus action to cast rod surge, and can do so without expending magic points. 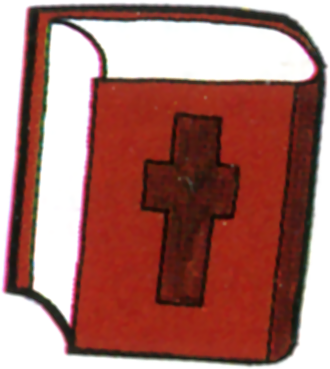 If you make a melee attack with a rod while wielding this magic book in the other hand, you have a +3 bonus to the attack and damage rolls. This magic arrow has a packet of explosive powder strapped in a cloth bag, replacing the normal arrowhead. As an action, you can fire one piece of this ammunition from a suitable weapon with which you are proficient. Instead of making a ranged attack roll, you shoot the arrow to any point within the weapon's short range. Any creature within 10 feet of that point must make a Dexterity saving throw with a DC equal to 8 + your proficiency bonus + your Dexterity modifier. On a failed save the creature takes 3d6 thunder damage and 3d6 fire damage from the fiery explosion, is pushed 10 feet from the center point, and falls prone. On a success, the creature takes half this damage, and is neither pushed nor knocked prone. A Huge or larger creature automatically succeeds on this saving throw. Once this explosion occurs, the arrow itself is utterly destroyed. This magic pouch appears just large enough to snugly hold a single bomb. 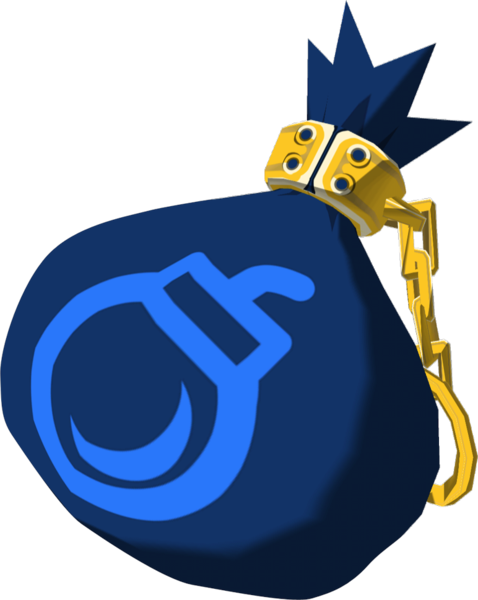 As a bonus action you can draw a single bomb from this bag, which is magically created as you draw it forth, and expends 1 charge from this item. You can't draw a new bomb until the previous one explodes or is otherwise destroyed. The number of charges this item has depends on its rarity. The bag regains 1d4 + 1 charges daily at dawn. As an action, a creature can touch the bag and expend 3 magic points to replenish one charge. A bombchu is a mouse-like device constructed of thin, glistening metal and packed with explosive powder. One is just over 1 foot long, almost 1 foot wide, and about 3 or 4 inches tall. One weighs 10 pounds. As an action, you can activate this device by setting it down on the ground, at which point it will race forward in the direction of your choice, in a zig-zagging but straight line at high speed. It hums with a loud and distinct sound as it travels. It travels 100 feet in this direction on the turn you activate it, and an additional 100 feet in this direction at the start of each of your turns if it has not yet exploded. While it is traveling autonomously, a bombchu has an AC of 18. It travels over up any wall, over ceilings, or through any difficult terrain without slowing down. 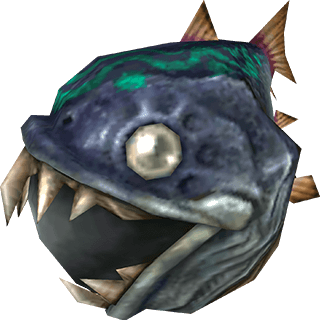 If the bombchu enters water, it continues to travel along the bottom of the reservoir unimpeded. A traveling bombchu will explode upon entering a creature's space, taking damage, or at the end of the third turn after you activated it. When it explodes, all creatures within 5 feet of it must make a DC 13 Dexterity saving throw. If you are proficient with bombs, add your proficiency bonus to this DC. On a failed save, a target suffers 14 (4d6) thunder damage from a forceful explosion. The damage a bombchu inflicts to objects and structures is doubled. You can make a ranged weapon attack with a bombchu by throwing it, as if it were identical to a Hyrulean bomb. A remote bombchu is visually identical to a bombchu, except for a red antenna emerging from it's topside. After you set a remote bombchu, it behaves exactly as a normal bombchu, except that you can mentally decide the path it travels. You can still control the remote bombchu even if you lose sight of it, though you're directing it blindly. You know when it explodes, even if you do not hear or see the explosion. While wearing this magic ring, if you use the Attack action to attack with a common bomb, you can use your bonus action this turn to attack with another common bomb. This medallion appears as a golden disc about six inches in diameter, with a swirling design engraved on its surface. 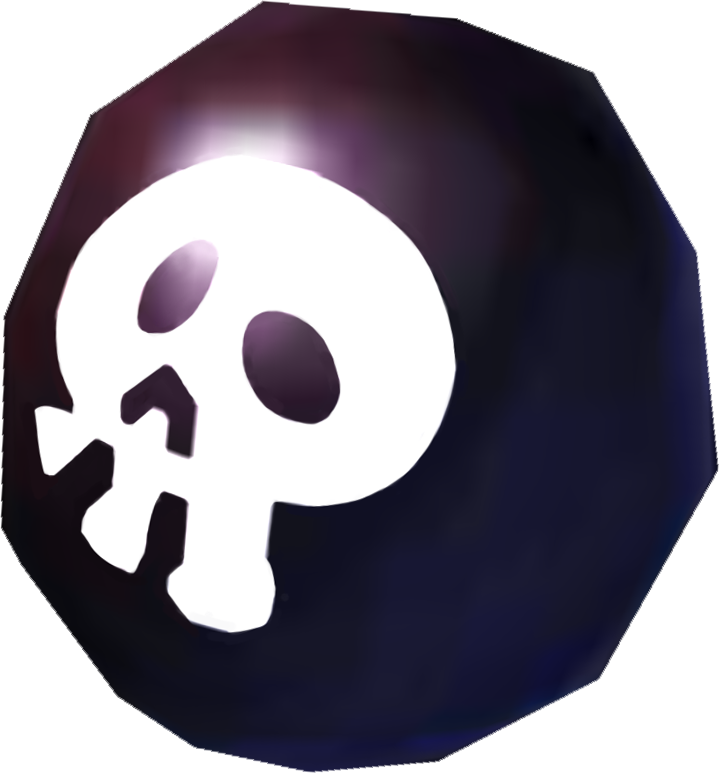 While it is on your person, you can activate the bombos medallion by using an action to swing a melee weapon in a circle around you, and speak the command word. In doing so, you cast the bombos spell (DC 19). The effect lasts for its full duration without requiring concentration, and you cannot choose to end this spell prematurely. Once you cast this spell, the medallion normally cannot be activated again until the next dawn. 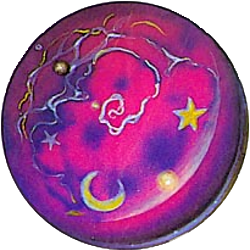 A creature can touch the medallion and use its action to expend a 9th-level spell slot, which will replenish the medallion's charge early. While wearing this magic ring, you are immune to the damage from bombs, bombchu, bomb arrows, and similar weapons. This transparent glass bottle has corked within it the physical manifestation of one spell, which dependant on the spell appears as a violently swirling smoke of one or two hues. You can drink, inhale, or administer the entirety of this potion as an action. Doing so casts the bottled spell on only the individual who drank it. If the spell calls for a DC, it is 13. When this item is gained, the DM can either choose a spell from the following list or roll a d20 to decide. At the DM's option, an entirely different spell can be chosen. This magic shortbow glows with a divine light, and is said to be blessed by the magic of a goddess incarnate. You have a +2 bonus on any attack and damage rolls with it, and any attack you make with a nonmagical arrow deals an extra 1d6 radiant damage. This weapon has 3 charges. 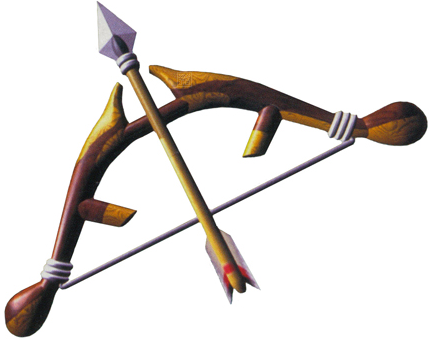 As a action, you can expend one charge to create and attack with a light arrow using this bow. This weapon regains 1d3 charges daily at dawn. As an action, a creature can touch the bow and expend 12 magic points to restore one charge. This bracer is shaped from glistening cobalt, with ruby accents. 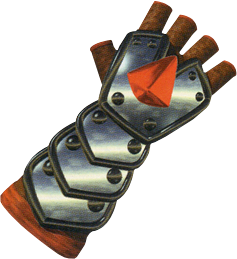 When you draw an arrow with the arm wearing this bracer, you can use your bonus action and expend 5 stamina points to transform that arrow into a bomb arrow until the start of your next turn. This bracer is coated in a silver sheen, and features several sapphires along its length. If you are wearing it when you make a ranged weapon attack that uses ammunition, the ammunition used in the attack becomes silvered until the start of your next turn. 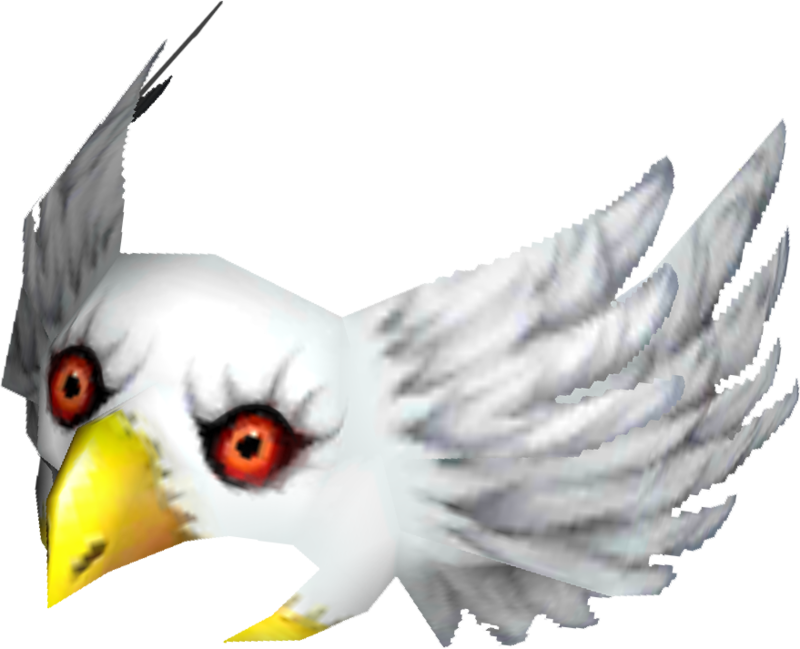 This magic mask bears the likeness of a white-feathered eagle. It is said to belong to the leader of an animal troupe of performers. While wearing this mask, you have advantage on Wisdom (Animal Handling) checks, as well as Charisma checks made to lead or inspire others. Your base walking speed increases by 15 feet. When determining the distance you can jump, treat your Strength score as being 5 higher than it otherwise is. You are supernaturally keen on mentally measuring time. While you concentrate, you can count seconds as accurately as a mechanical clock. You have advantage on Wisdom (Perception) checks based on hearing. This orange-colored staff ends in a tip resembling a question mark. You can use your action to swing the staff, causing a tiny orange bead of magic to shoot off to a range of up to 30 feet. The first Large or smaller unattended object or willing creature touched by the bead abruptly jumps up, flips over 180 degrees, and gently sets back down harmlessly. If the bead reaches the end of its trajectory without touching a suitable object or creature, it vanishes. Once on each of your turns, you can cast somaria at its lowest level by using your action to perform a somatic component with this rod. If you otherwise cast somaria, you can use this rod as the material focus, and doing so reduces the magic points you need to cast that spell by up to 5. This enables you to more easily cast the spell at higher levels. 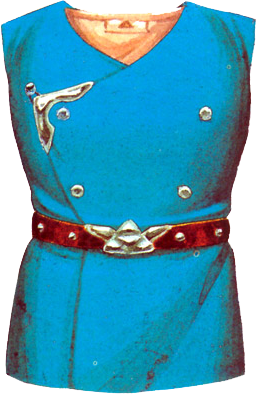 This bright blue tunic is said to be worn by the hero who will prevent cataclysm. You can either wear it as studded leather, or wear it with other armor. While wearing it, you have a +3 bonus to your AC. You also have advantage on Strength, Dexterity, and Constitution saving throws. This bracer is a swirl of many colors, which seems to change hue every time it moves. Once per turn, you can transform an arrow you draw into your choice of a fire arrow (by expending 2 sp), an ice arrow (by expending 3 sp), or a shock arrow (by expending 4 sp). The arrow retains this transformation until the start of your next turn. The red-shelled time-telling device known only as the clock fits in the palm of your hand, and features a single button on its edge. You can use your action to press and hold this button, which causes the device to disappear into thin air, forever lost. This button press briefly stops the flow of time for everyone but yourself. No time passes for other creatures, while you take 3 turns in a row, during which you can use actions and move as normal. As all other creatures can't move, they are effectively paralyzed during this period. This megaton hammer is adamantine. Any hit with it deals double damage to objects and structures. 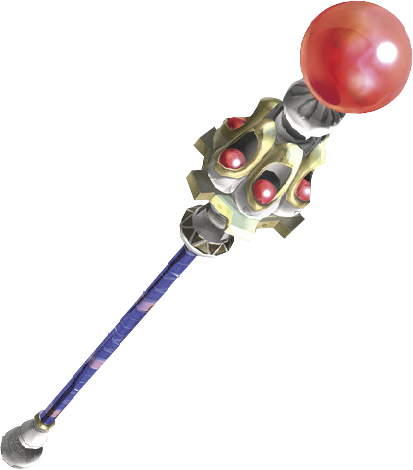 Every goron that is proficient with a greatclub can wield this weapon proficiently. The damage from this weapon is not magical. This wondrous item appears similar to a gauntlet, albeit in place of fingers it features a trio of grasping metallic claws. It is operated by inserting your hand into the hole opposite the claws, and grasping a trigger-like handle. You can activate the clawshot by aiming the device and pulling the trigger, as an action. 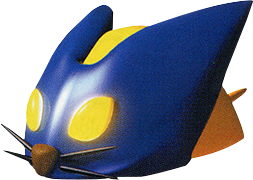 Once activated, the claw shoots from the gauntlet at high speed, connected by a magical chain that extends out to a range of 50 feet. 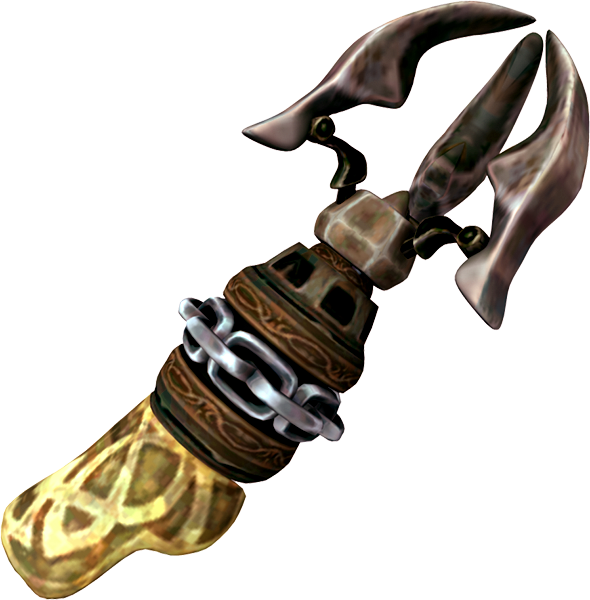 If the claw reaches the end of the chain's length, the chain and claw retract almost instantly. If the claw hits an object or creature, it will also retract almost instantly. Hitting a specific object or creature requires a ranged attack roll. You do not add your proficiency bonus to this attack roll, unless you have proficiency with the clawshot specifically. If the claw hits an object it can firmly grasp, such as an iron grating or a tree branch, it will grasp hold of the object before retracting. The claw will release if it attempts to pull an object more than 500 pounds, or if it returns all the way to its holster. If you use the claw and weigh less than 500 pounds, you can use it to rapidly travel or soar to hard-to-reach areas by using the claw to grasp hold of objects heavier than you. 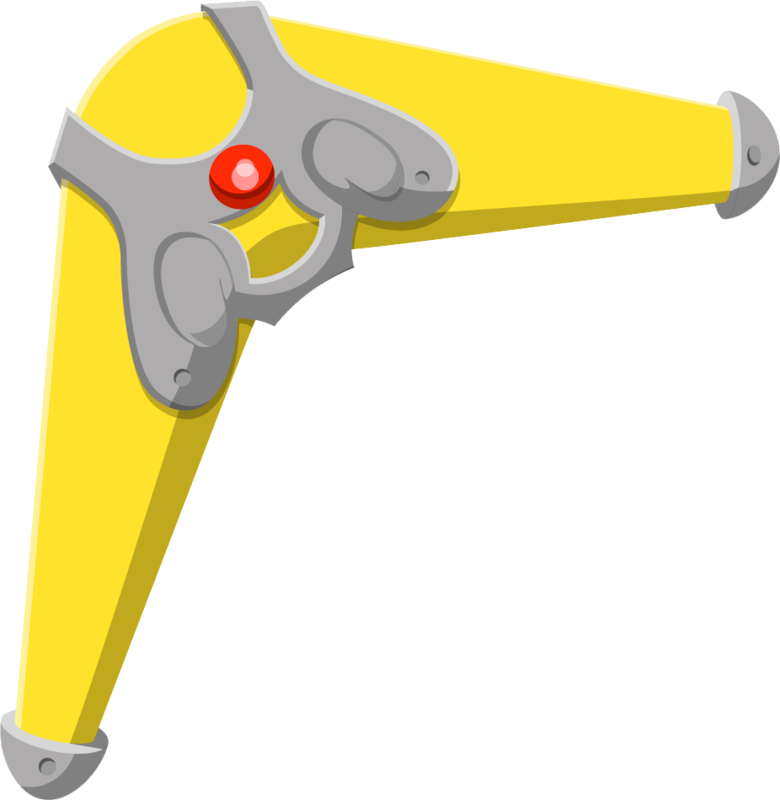 Regardless of your weight, you can also use the clawshot to draw lighter objects towards you. If the claw hits a creature, the target takes nonmagical piercing damage equal to 1d4 + your Dexterity modifier. Subject to GM discretion, the claw may be able to grasp the creature or an object on its body, thereby causing you to be pulled to it or vice versa. If the claw does grasp hold of a creature, it takes no damage. This gold medal is about two inches in diameter, and glistens brightly on one side without ever tarnishing, even though the other is rusted like common iron. While it is on your person and you are attuned to it, you have advantage on all Wisdom (Perception) and Intelligence (Investigation) checks made to find treasure. When you or a friendly creature you can see rolls a 2d4 for a Treasure Roll, the result is increased by 1 if no other effect is also increasing the roll. Cursed. This medal is cursed. As soon as you attune to this item, your attunement with all other magic items immediately ends, and any beneficial effects of magic items fail to work for you. Breaking your attunement to this medal does not end the curse, nor does removing it. The curse will only end if you first break your attunement to this item, and are then targeted with remove curse or similar magic. A shield of this design was said to once be wielded by a legendary gerudo warrior. While wielding this magic iron shield, you have an extra +2 bonus to AC. If you attune to this magic item, you gain additional benefits. You have resistance to lightning damage. You can endure both extreme cold and extreme heat without difficulty. A typical deku nut in Hyrule is oblong, between 2 and 8 inches in diameter, and with a bark-like exterior except for a gleaming golden crack that splits across half its circumference. It is said that at one point in Hyrule's history, these powerful items were abundant. The few that remain are treasured among deku scrubs and kokiri. For the purpose of this item, a creature is always treated as having more than 100 hit points if it can take legendary actions, or has the Legendary Resistance feature. Any type of keese within 10 feet of the impact point does not get a saving throw, and instead is instantly killed. A deku stick wielded by what appears to be a kokiri. Composed of dense but brittle wood, this long and naturally-occurring stick makes for a surprisingly effective weapon. When you hit with this greatclub, it deals an extra 1d8 bludgeoning damage, but breaks apart against the target, and the weapon is destroyed beyond repair. You can only attack with this weapon as part of the Attack action on your turn. This weapon is notoriously wielded by high-ranking members of the Yiga clan, imbued with fierce magic and a vicious design intended to instill fear. You have a +1 bonus on weapon and damage rolls made with this magic scimitar. If you use it to make an attack against a surprised creature, you have advantage on the attack roll. If you kill a creature or roll a 20 for your attack roll with this weapon, you can choose for this act to instill fear in your foes. All opposing creatures within 30 feet who can see you must succeed on a DC 16 Wisdom saving throw or become frightened of you for 1 minute. At the end of each of its turns, a creature can repeat the saving throw, ending the effect on itself on a success. This item appears as an eight-sided semitransparent crystal, at the center of which is an orange sphere that dimly glows and swirls like molten rock. While you hold this crystal, you can use your action and expend 1 charge from this magic item to cast Din's fire (DC 15). The effect lasts for its full duration without requiring concentration, and you cannot choose to end this spell prematurely. The crystal has 2 charges, and it regains 1d2 daily at dawn. A charge can also be restored if a creature holding the crystal uses its action to expend 8 magic points specifically to do so. The damage rolls from any attack you make or spell you cast increases by 50%, or "one-and-a-half times." Cursed. This ring is cursed. While wearing it, any damage you take is doubled. This curse will only be lifted if you first remove the ring, and you are then targeted by the remove curse spell or similar magic. This magic greatsword appears as a spiraling pair of green and blue blades, which appear fragile despite their near indestructibility. You have a +2 bonus to attack and damage rolls with this magic greatsword. Whenever you attack with this weapon, a cutting wave of force shoots forth from the blade in the direction of your attack. This wave of force slices through a line 5 feet wide and 30 feet long. Any creature in this line must succeed on a Dexterity saving throw with a DC equal to your attack roll. On a failure, a creature takes 1d6 slashing damage plus 1d6 force damage for each attack you made in that direction. Any creature you hit with this weapon automatically fails this save. This armor incorporates indestructible dragon bones. You can choose to wear this magic armor as either breastplate or plate. While wearing it, any critical hit against you becomes a normal hit. When you wield this Sheikah-made cutlass, you add your proficiency bonus to damage rolls as well as attack rolls. The damage from this weapon is not magical. This bizarre armor stretches with an abnormal and exotic material that absorbs electric shocks. While wearing it, you have resistance to lightning damage. You can either wear it as studded leather, or wear it under other armor to gain its benefit without using its AC. This potion comes in one of four rarities, and one of four elements. The DM either selects an appropriate potion, or determines one randomly by rolling a d4 two times. You can drink or administer the entirety of this potion as an action. Once imbibed, you gain one of the following effects for the next 8 hours. Chilly elixir. A refreshing coolness flows over you. You can endure even the warmest of climates without difficulty. Spicy elixir. A cozy warmth embraces you. You can endure even the coldest of climates without difficulty. Antistatic tonic. Any lightning damage you take is reduced by 1. Your nonmagical equipment never makes you more vulnerable to lightning damage (e.g., shocking grasp). Antitoxin tonic. A faint tingling sensation rolls through your limbs when you first drink this potion. You have advantage on any Constitution saving throw against being poisoned. Volcanic tonic. You gain fire resistance. Yeti soup. You gain cold resistance. 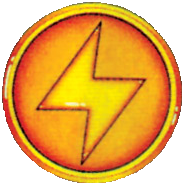 Electro elixir. You gain lightning resistance. Deku tonic. You gain poison resistance, and have advantage on saving throws against poison. Fireproof elixir. You are immune to fire damage. Coldproof elixir. You are immune to cold damage. Electroproof elixir. You are immune to lightning damage. Poisonproof elixir. You are immune to poison damage, and cannot be poisoned. Tear of Dinraal. You are immune to fire damage. Whenever a creature hits you with a melee attack or a grapple, it takes 1d8 fire damage. Tear of Naydra. You are immune to cold damage. Whenever a creature hits you with a melee attack or a grapple, it takes 1d8 cold damage. Tear of Farosh. You are immune to lightning damage. Whenever a creature hits you with a melee attack or a grapple, it takes 1d8 lightning damage. Tear of Hylia. You are immune to poison damage and cannot be poisoned. Whenever a creature hits you with a melee attack or a grapple, it takes 1d8 radiant damage. This magical soup seems to stay warm and delicious indefinitely. You can drink or administer this potion as an action. After drinking all of it, for 1 minute all damage rolls you make with weapon attacks are maximized as though they were made as called shots. One of these rare, bright orange seeds is imbued with incinerate chemicals that ignite when pierced or smashed. This makes them them dangerous, magical ammunition when used in a blowgun, sling, slingshot, or seed shooter. When using a ember seed as ammunition, the attack inflicts fire damage instead of bludgeoning damage. The hit target must succeed on a DC 12 Dexterity saving throw or be ignited. Any creature with resistance or immunity to fire damage automatically succeeds on this save. An ignited creature takes 1d6 fire damage at the end of each of its turns, but it can use its action to end this condition. An ember seed is destroyed after it hits a creature. While wearing this ring, you can use your action to cast power beam. If you are otherwise able to cast power beam, you gain a +1 bonus on the spell's damage roll when casting it in that way. This magic ring features amber shaped to resemble a clenched fist. While wearing it, you can choose for the damage from your unarmed strike to be 1d6 if it would otherwise be lower. You can choose to use either Strength or Dexterity for the attack and damage rolls of your unarmed strikes. You can wield this magic weapon either as a hammer or warhammer. You can wield this weapon without requiring attunement, in which case it has a +2 bonus to attack and damage rolls. Requires attunement. You gain an additional benefit: you can levitate and control the hammer telepathically out to a range of 60 feet. You can rapidly move the hammer anywhere within this radius, and even attack with it as if you were wielding it. Moving and wielding the hammer in this way requires at least one hand to be free to perform somatic gestures. You can make opportunity attacks with this hammer within 5 feet of wherever it currently is. This shortsword weighs 0.5 ¼ lb. If you attack with this weapon while falling or using a fly speed, you have a +1 bonus to the damage roll. 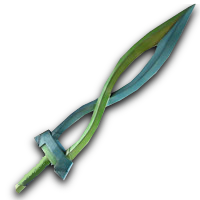 Every rito that is proficient with a dagger can wield this shortsword proficiently. 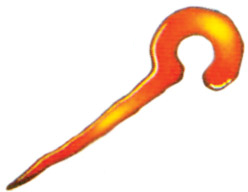 This magic arrow is distinguished by having an orange-red tip which resembles a swirling flame. Once this arrow is drawn, you can use your bonus action to focus on the arrow, causing it to glow with fiery evocation magic until the start of your next turn. When you use this glowing arrow as part of a ranged attack, the attack deals magical fire damage instead of its normal damage type. If the target is flammable, it is also ignited, and will take 1d6 fire damage at the end of each its turns unless an action is used to put out the flames. Once it hits a target, this arrow is no longer magical. You can expend 1 magic point when you use the bonus action to have both the initial hit and the ignited condition deal an extra 1d6 fire damage. While wearing this magic glove, you can cast fire bolt as an action using only a somatic component from the glove-wearing hand. You treat either Strength or Dexterity as your casting ability for this spell, whichever is higher. If you hit with an unarmed strike using the hand wearing this glove, you can deal fire damage instead of the normal damage type. Melee Weapon Attack. You swing the rod, which on a hit deals nonmagical bludgeoning damage equal to 1d4 + your Strength modifier, plus 1 magical fire damage. Ranged Spell Attack (costs 1 mp). You swing the rod, and a mote of flame leaps from the tip up to a range of 90 feet, which on a hit deals 3d6 fire damage. You add your Intelligence modifier to the attack and damage rolls of this attack. While wearing this magic earrings, you and any objects on your person cannot catch fire, and you can endure climates of extreme heat without difficulty. Depending on how you wield this magic weapon, it uses the statistics of either a shortsword or a longsword. This magic sword has 4 charges. Every attack with it expends one of the remaining charges, regardless of whether or not the attack hits or misses. If you hit an object or creature with this weapon while expending a charge, the hit target is ignited by flames. Until an action is taken to extinguish the fire, the creature takes 1d6 fire damage at the end of each of its turns. While this weapon has at least one charge, you can tolerate cold climates without difficulty. While this weapon has no charges, it is indistinguishable from a nonmagical weapon of its type, and the damage from it is nonmagical. After no attack has been made with this weapon for 1 minute, it fully regains its charges. You can wield a flamespear as either a spear or javelin, but it otherwise functions as a flameblade. A great flameblade is a greatsword, but it otherwise functions as a flameblade. You can wield a great flamespear as either a pike or a halberd, but it otherwise functions as a flameblade. You can choose to wear this magic armor as plate or breastplate. While wearing it, you have resistance to fire damage, and you cannot be ignited by fire. If you hit a creature with this weapon while expending a charge, the target takes an extra 1d6 cold damage, and at the end of the current turn the target must make a DC 15 Constitution saving throw. A creature that has resistance or immunity to cold damage automatically succees on this save. On a failure, the creature is frozen solid—effectively petrified—until the end of its next turn. While this weapon has at least one charge, you can tolerate hot climates without difficulty. You can wield a frostspear as either a spear or javelin, but it otherwise functions as a frostblade. A great frostblade is a greatsword, but it otherwise functions as a frostblade. You can wield a great frostspear as either a pike or a halberd, but it otherwise functions as a frostblade. This magic boomerang is said to be inhabited with the spirit of a wind fairy. When it is thrown, it is surrounded with a small vortex of wind as it flies. If a small unattended object weighting no more than 1 pound and occupying space no more than 1 cubic foot enters this vortex, the boomerang will magically carry that object back with it to your space. The flight of this weapon will also disturb areas in its path with wind, such as kicking up a pile of leaves. 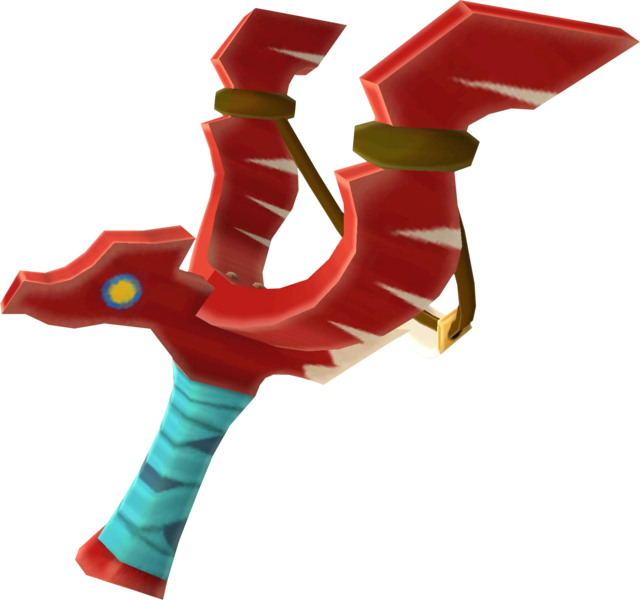 Unlike a normal boomerang, the gale boomerang will always return to you after you make a ranged attack with it, even if you hit. While holding this magic wooden shield, you have an extra +1 bonus to AC and to Dexterity saving throws. The shield has 3 charges. Immediately after you are hit by a melee weapon attack, you can expend 1 charge as a reaction to cast tractor cannon (DC 15) on the attacking creature. The gale shield regains 1d3 expended charges daily at dawn. This mask greatly enhances the size and might of anyone who wears it, but rapidly drains one's power. You can don or doff this mask as an action or a bonus action. While you are wearing an uncommon giant's mask and have magic points remaining, you are enlarged. At the end of each of your turns you lose 1 magic point. If you have no magic points (or stamina points) after this loss, you lose the enlarged condition and return to normal size. You are two sizes larger than normal; a Medium creature becomes Huge, for example. Your size quadruples in all dimensions, and your weight is multiplied by 64. All your equipment is similarly enlarged. If an enlarged item leaves your person, it returns to its normal size. You have advantage on Strength checks and Strength saving throws. Your Strength score is treated as 25 (modifier +7) if it would otherwise be lower. You have disadvantage on Dexterity checks and Dexterity saving throws. Your speed is increased by 20 feet. Your enlarged weapons deal an extra 3d4 damage. This weapon is initially indistinguishable from a masterfully-crafted giant's knife. A hit with this magic greatsword deals an extra 2d6 slashing damage. Immediately after you damage a creature with this weapon for the first time, this greatsword irrevocably shatters into countless nonmagical shards. According to legend, this imposing greatsword was designed to be used as a dinner knife by a gigantic goron. Any hit with this greatsword deals an extra 1d6 slashing damage, but the damage from this weapon isn't magical. This fragile weapon was designed to slice food, not monsters. If you attack with this weapon and the d20 used in your attack roll lands on a 1 or 2, the blade irrevocably shatters apart. You can still wield the weapon as a greatsword and it still deals its extra damage, but its shorter reach and imbalance gives you disadvantage on attack rolls with it. This magic shield is forged from the bones and skull of a gleeok, and that dragon's magic still lingers within it. While wielding this shield you have resistance to fire damage. While you are wielding this shield you can use your action to transform this shield into a gleeok head that appears in your space, is loyal to you, eagerly defends you, follows your commands (although it only understands Lizal), and acts on your initiative. 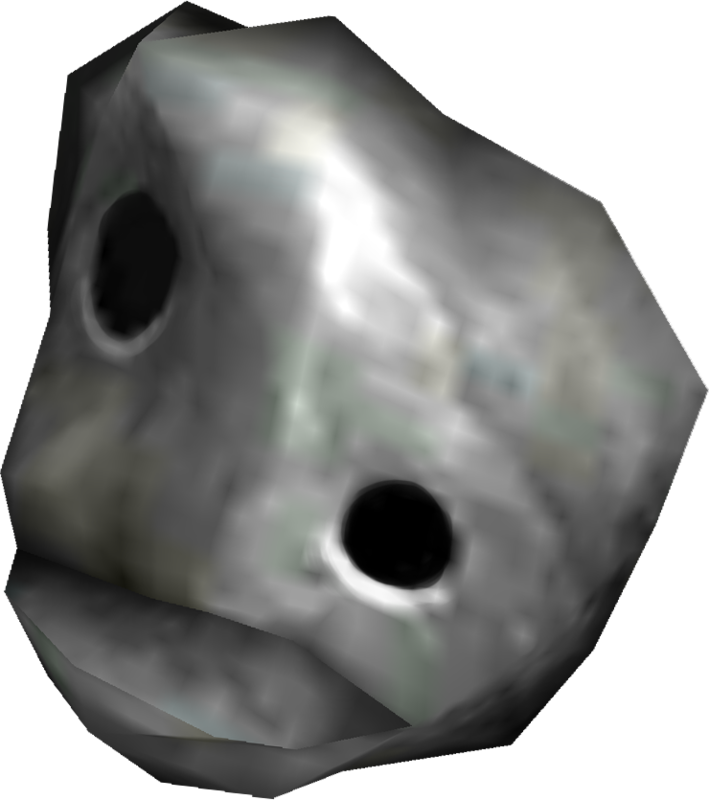 While this gleeok head remains in your space, you retain the AC bonus of a shield and your fire resistance. This gleeok head remains transformed for 1 minute, or until it is reduced to 0 hit points, at which point it returns to its form as a gleeok shield. If the gleeok head is in your space when it reverts back to a shield, it autonomously dons itself on you. The gleeok shield cannot again transform this way until the next dawn. This magic cap has a white wool brim and a long red body that leads to a pointed tip. As an action, you can don the hat and speak the command word. If you activate this hat while you are of Small size, you gain the reduced condition until you remove the hat. If you are of Medium size or larger, you gain the reduced condition twice over: your size is reduced to 0.5 ¼ in all dimensions, you weigh 1/64th as much as normal, your speed is reduced by 20 feet, and your weapons deal 2d4 less damage. This condition remains until you remove the hat. This magic half plate was said to be blessed by the goddess Hylia herself. While wearing it, you have a +2 bonus to AC, to Wisdom (Insight) checks, and to Wisdom saving throws. Although not made of literal gold, this magic plate incorporates spoils from rare and powerful golden monsters. While wearing it, you have an extra +1 bonus to your AC, and your speed increases by 10 feet. This armor has 5 charges. It regains 1d4 + 1 charges daily at dawn. When you roll a Dexterity saving throw or you roll for initiative, you can expend 1 charge to gain advantage on that roll before you make it. When you are hit by an attack, you can use your reaction to expend 2 charges and halve the damage you take from that attack, unless the damage is necrotic. If you fail a saving throw, you can expend 4 charges to succeed instead. This mythical potion glistens like gold. You can drink or administer it as an action. Upon drinking it, you recover all hit points. 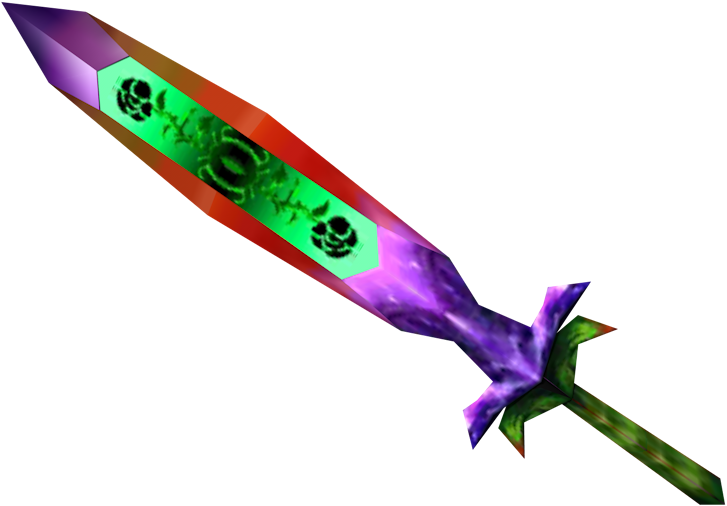 Rumors surround a blade which surpasses even the most renowned blade in Hyrule, the Master Sword. This rumored blade is said to glimmer with a golden glow reminiscent of the Triforce, and hold the power of the Golden Goddesses themselves. Could such a weapon truly exist? While wielding this magic weapon, you can treat it as either a magic longsword or magic scimitar. Any hit with this magic weapon deals an extra 4d6 radiant damage. If the target of your attack holds at least one shard or piece of the Triforce, you have advantage on the attack roll. Once per turn, in place of one attack with this weapon, you can cast power beam or spin attack. This magical red tunic was created by goron casters for their hylian allies. While wearing it and attuned to it, you have resistance to fire damage. 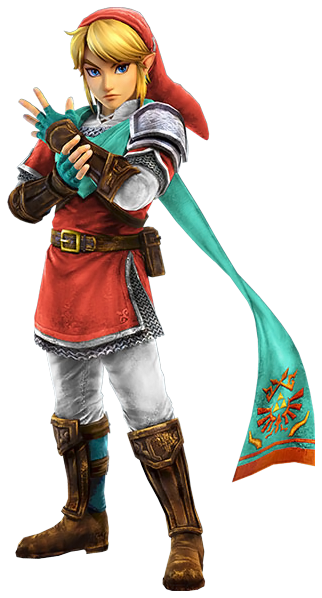 You can either wear the tunic as studded leather, or wear it with heavier armor to gain its benefit without using its AC. This magic greatsword appears to be forged from a bright pink metal, with green accents on the grip and the flat of the blade. Any hit with it deals an extra 2d6 slashing damage. While the blade is sheathed but on your person, you have advantage on Charisma checks made to persuade or positively influence fey. If you are incapacitated but still able to move, you can take the Attack action on your turn but may only attack with this weapon. This mysterious, clear, shimmering fluid is said to originate from a great fairy. You can drink or administer this potion as an action. Upon drinking it all, you recover all hit points, regain all your stamina points, and regain up to 20 magic points. The first attack roll, saving throw, or ability check you make after drinking a dose has advantage, and the first damage roll you make is maximized as if you had made it as a called shot. While wearing this magic ring, you have a climb speed of 20 feet, though you can't climb faster than your base walking speed. If you are attuned to this magic item, the climb speed increases to your base walking speed if it would otherwise be lower, and you gain a +5 bonus on any Strength (Athletics) check made to climb. 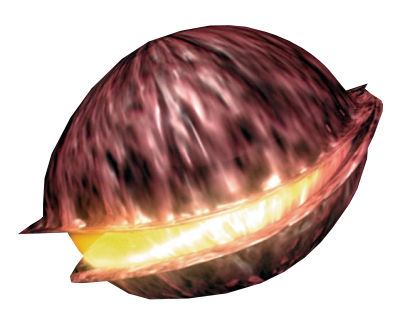 This magic seed appears as a humble acorn, with the only hint of its power being that it is as large as a hylian's fist. You can activate this acorn as an action be holding it overhead, which causes it to flash blue and emit heroic music, before disappearing. Activating the guardian acorn grants you 30 temporary hit points for up to 1 hour. The guardian potion is a bottle of glittering violet fluid. You can drink or administer the entirety of this potion as an action. Doing so grants the drinker resistance to all non-psychic damage for 10 minutes. Drinking or administering a potion requires an action. Weapons of this design are frequently wielded by guardian scouts, hence its name. The grip of a guardian weapon weapon is comprised of a dense clay material which, while gripped, causes a glowing semitransparent blue blade to emerge from it. This magic weapon overcomes damage resistance as if it was both silvered and adamantine, and attacks with it deal double damage to objects and structures. This greatclub is adorned with multicolored designs from an ancient, forgotten era. When you hold it in both hands, you can use your action to blast a gust of air in a 15-foot cone. This air blows away small unattended objects such as leaves and dust. Any creature in this line must make a DC 13 Strength saving throw. Any creature that weighs more than 100 lb. (an adult humanoid) automatically succeeds on the save. Any creature that weighs less than 5 lb. (a kitten) or is gaseous has disadvantage on the save. On a failed save the creature is pushed to the end of the cone directly away from you, then knocked prone. The damage from this weapon isn't magical. You can activate a hand potion by using your action to drink it, administer it to a willing creature, or empty it onto the ground. If the potion is poured on the ground, the fluid transforms into a wallmaster which persists for 10 minutes or until it is reduced to 0 hit points, at which point it evaporates into thin air. This wallmaster is loyal to whoever emptied the bottle, and obeys their verbal commands to the best of its ability, though it only understands Stal. If a creature consumes the hand potion, that creature is transformed into a wallmaster for up to 10 minutes, or until it is reduced to 0 hit points, at which point it instantly reverts to its normal form. The creature's game statistics, including mental ability scores, are replaced by the statistics of the wallmaster, though it retains its alignment and personality. The creature is limited in the actions it can perform by the nature of its new form, and it can't speak, cast spells, or take any other action that requires hands or speech. 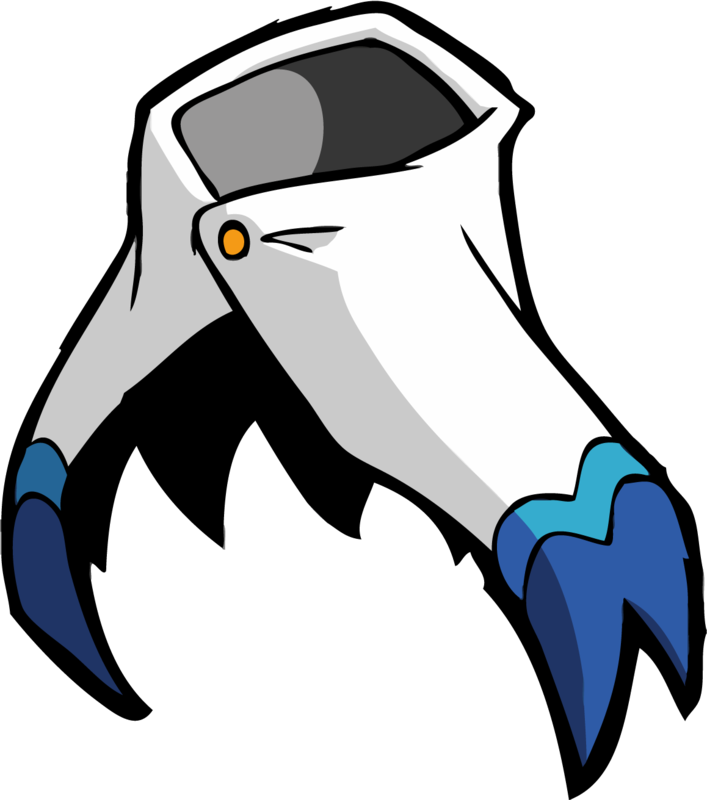 When it reverts to its normal form, the creature returns to the number of hit points it had before it transformed. If it reverts as a result of dropping to 0 hit points, any excess damage carries over to its normal form. As long as the excess damage doesn't reduce the creature's normal form to 0 hit points, it isn't knocked unconscious. This mask is designed to be worn over the upper half of the face. While you wear it, you can at will cause distant objects to be magnified to your eyes. In conditions of clear visibility, you can make out details of even extremely distant creatures and objects as small as 2 feet across. While using the hawkeye and attacking with a ranged weapon beyond its normal range, you do not suffer the normal disadvantage imposed on your attack roll. You still cannot attack beyond the weapon's long range. These temporary hit points last for up to 24 hours. 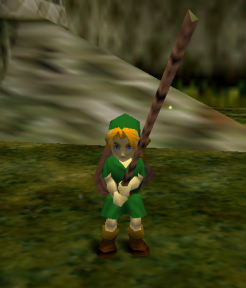 This small, seemingly mundane ragdoll depicts a young hylian man in a green tunic. If you are killed, the item disappears, and at the start of your next turn you are brought to life with full hit points. If the point of your death is still dangerous—such as housing hostile creatures or other hazards—you are instead teleported to wherever you finished your last long rest. This magic shortbow was said to once be used by a legendary hero. You can feel radiate mysterious, magical energy when you hold it. You have a +3 bonus on attack and damage rolls with it. 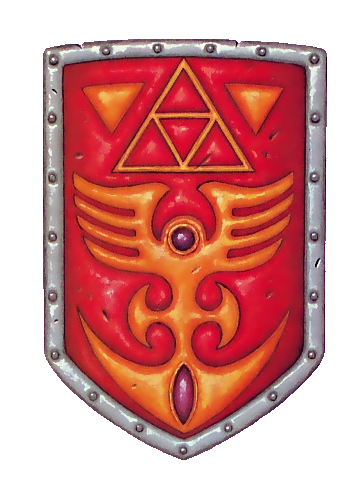 This magic item appears as a mundane iron shield of the popular "hylian shield" design, but it carries within it the spirit of a legendary hero. While wielding it, you have a +3 bonus to your AC in addition to the normal bonus provided by the shield. You also have advantage on Intelligence, Wisdom, and Charisma saving throws. On your turn, unless you only move in a straight line, your speed is reduced by 10 feet. You have disadvantage on any ability check or saving throw made to avoid being moved from your position, or knocked prone. The distance of your long jump improves by 10 feet, but only if you have a running start. You may move normally across any ground acting as difficult terrain, and your walking does not activate pressure-sensitive traps. This magic arrow is has a jagged arrowhead formed with a semitransparent pale blue material, reminiscent of ice. Once this arrow is drawn, you can use your bonus action to focus on the arrow, causing it to glow with icy evocation magic. If you make a ranged weapon attack with this glowing arrow before the start of your next turn, the attack deals magical cold damage instead of its normal damage type. If the hit target is a creature, it must succeed on a DC 13 Constitution saving throw or be frozen solid, effectively petrified, until the end of its next turn. If the target has resistance or immunity to cold damage, it automatically succeeds on this saving throw. If the target takes any fire damage while petrified in this manner, the conditions ends. You can expend 1 magic point when you use the bonus action to cause the attack deal an extra 1d6 cold damage. If you have the Spellcasting feature when you do this, the DC becomes equal to your spell save DC if it would otherwise be lower. Melee Weapon Attack. You swing the rod, which on a hit deals nonmagical piercing damage equal to 1d4 + your Strength modifier, plus 1 magical cold damage. Ranged Spell Attack (costs 1 mp). You swing the rod, and a mote of cold leaps from the tip up to a range of 60 feet, which on a hit deals 3d6 cold damage. You add your Intelligence modifier to the attack and damage rolls of this attack. Unless your Strength score is 21 or higher, your speed is reduced by 10 feet. You cannot fly if you otherwise could, and the distance you can jump is halved. You cannot swim. Instead, you rapidly sink in any body of water you enter. If you reach the bottom of the reservoir, you can walk along it with half of your walking speed. You have disadvantage on every Dexterity (Acrobatics) check, and any Dexterity (Stealth) check that involves walking. You have advantage on any ability check or saving throw to avoid being knocked prone or moved from your position. This magic nut is usually kept in a potion bottle for safe-keeping. After you ingest it, you instantly become fluent in the first language you hear but don't already understand. Your attacks with this weapon score a critical hit on a roll of both 19 and 20. This magic leaf is about three feet across at its widest point, and unlike normal leaves will not decay over time. It is said to originate from koroks, or at least the forests in which they dwell. As an action, you can swing the leaf overhead with two hands. Doing so creates a powerful gust in a 5-foot-wide, 30-foot line in the direction of your swing. Any creature in this line must make a Strength saving throw with a DC equal to 8 + your proficiency bonus + your Strength modifier. Any creature that weighs more than 100 lb. (an adult humanoid) has advantage on this save. Any creature that weighs less than 5 lb. (a kitten) or is gaseous has disadvantage on the save. If a creature fails this save, it is unable to move towards you until the start of your next turn, though it can still retreat or move laterally. If the creature fails by 5 or more, it is also knocked prone. A knight's shield is both expertly forged and blessed with a small amount of magic. You have a +1 bonus to your AC, in addition to the shield's normal bonus to AC. A knight's shield costs 5,000 rupees more than a normal shield of its type. A knight's weapon is both expertly forged and blessed with a small amount of magic. You have a +1 bonus to attack and damage rolls made with this magic weapon. A knight's weapon costs 5,000 rupees more than a normal weapon of its type. 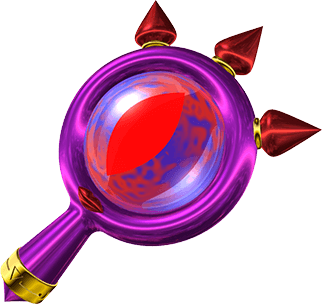 This Sheikah relic takes the form of a violet magnifying class featuring a lens resembling a cat eye. While this item is on your person, you can use a bonus action to expend 1 magic point and focus on the lens of truth. Doing so lets you clearly see invisible objects and creatures, as if they were visible, until the start of your next turn. This magic arrow glimmers with golden radiance. It is blessed with the divine touch of a goddess incarnate. Once this arrow is drawn, you can use your bonus action to focus on the arrow, causing it to brightly glow a golden color. Before the start of your next turn, you can shoot this arrow in place of a normal attack. You do not make an attack roll with this arrow. Instead, all creatures in a 5-foot-wide line extending from you to the longest range of your weapon must succeed on a DC 19 saving throw or take 2d10 piercing damage and 10d10 radiant damage. If there is only one creature in this line and it is within your weapon's normal range, that creature has disadvantage on this saving throw. If an undead, a fiend, or creature that is vulnerable to radiant damage fails this saving throw, it is paralyzed until the end of its next turn. This white medallion bears on one surface a sculpted red ruby in the shape of a heart. While it is on your person and you are attuned to it, you gain its benefit. Whenever you expend a Hit Die to restore hit points, are subjected to a spell that restores your hit points, or restore hit points by drinking a potion, you increase the hit points restored by 2. You regain hit points immediately after you drink the entirety of a life potion. The amount restored depends on the potion's color, and each color is of a different rarity. Drinking or administering a potion requires an action. This magic item has no effect on a creature which isn't alive, including most constructs and undead. Melee Weapon Attack. You swing the rod, which on a hit deals nonmagical slashing damage equal to 1d4 + your Strength modifier, plus 1 magical lightning damage. Ranged Spell Attack (costs 1 mp). You swing the rod, and a mote of lightning leaps from the tip up to a range of 30 feet, which on a hit deals 2d6 lightning damage. You add your Intelligence modifier to the attack and damage rolls of this attack. You have advantage on the attack roll if the target is wearing armor made of metal, or is soaked in water. While wielding this magic wooden shield, you have advantage on any saving throw to prevent being paralyzed, being stunned, or having your speed reduced. This angled sword is designed to be wielded much like a normal scimitar, but its narrow airfoil design also enables it to be thrown as a returning boomerang. This scimitar has the following properties: thrown (range 20/60), and returning. The damage from this weapon isn't magical. This angled sword of lizalfos make can be be wielded like a normal scimitar, but its narrow airfoil design also enables it to be thrown as a returning boomerang. This scimitar has the following properties: thrown (range 20/60), and returning. A hit with the forked boomerang deals an extra 1d4 slashing damage. The damage from this weapon isn't magical. This magic, morbid studded leather is made from the preserved scales of chameleon lizalfos. While wearing it, you have resistance to acid damage. It magically shifts and changes color to match your surroundings, giving you advantage on any Dexterity (Stealth) check made to hide while you wear it. This triple-bladed sword of lizalfos make can be be wielded like a normal scimitar, but its unusual design also enables it to be thrown as a bladed discus that returns like a boomerang. This scimitar has the following properties: thrown (range 20/60), and returning. A hit with the tri-boomerang deals an extra 2d4 slashing damage. The damage from this weapon isn't magical. This impressive shortbow was designed by a lynel, and is designed to shoot three arrows simultaneously at one target. Every shot with this bow magically creates an additional two arrows alongside the first, causing any such attack to deal extra piercing damage. These magically created arrows cannot be recovered after it is shot. The amount of extra piercing damage dealt depends on the rarity of the bow: 1d6 for a rare lynel bow, 2d6 for a very rare mighty lynel bow, and 3d6 for a legendary savage lynel bow. This magic half plate incorporates enchanted fur from lynel manes into its design. While you wear this armor, you have resistance to cold, fire, and lightning damage. Once on each of your turns, you can cast power beam in place of one melee weapon attack you would otherwise be able to make. This shield is adorned with specially crafted sharpened edges, and is designed by lynels to be used both offensively and defensively. You can attack with this shield as if it were a martial melee weapon with the light property. On a hit, it inflicts nonmagical slashing damage equal to 1d6 + your Strength modifier. While holding this shield, you have a bonus to AC determined by the shield's rarity: +1 for a rare lynel shield, +2 for a very rare mighty lynel shield, and +3 for a legendary savage lynel shield. This bonus is in addition to the shield's normal bonus to AC. The magical key fits any lock, and can be used repeatedly. Using it, you can open any nonmagical lock as an action. 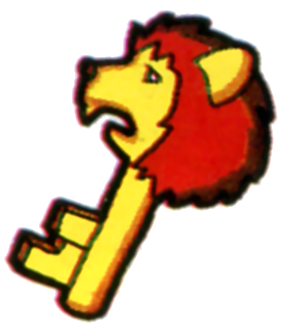 If you attempt to pick a magic lock, using the magical key gives you advantage on the ability check to do so. This bright red cloak is known simply as the magic cape. It has 8 charges. While wearing it, you can activate the cape as a bonus action by speaking the command word and consuming 1 charge, which turns you invisible until the start of your next turn. While you are invisible in this way, you are immune to all nonmagical damage. At the start of each of your turns, you must either expend 1 charge or expend 5 magic points to maintain this invisibility and damage immunity for another turn. This cape regains 2d4 charges daily at dawn. A creature can use its action to touch the cape and expend 5 magic points, which restores one charge early. While wearing this glove, you can use your action to cast magnesis (DC 13, +5 to hit) without consuming magic points. This gold-banded magic ring bears what appears to be a ruby cut into the shape of a hair bow. While wearing it, you have advantage on all Intelligence (Arcana) checks made to recall lore about creatures or spells. Cursed. This ring is cursed. Attuning to it curses you until you remove the ring and are targeted by the remove curse spell or similar magic. Removing the ring alone fails to end the curse on you. Whenever you make an Intelligence, Wisdom, or Charisma saving throw against a spell, you do so with disadvantage. This magical mask bears the visage of a large hog. While wearing this mask, your sense of smell is greatly improved, comparable in this regard to a bloodhound. You have advantage on any Wisdom (Perception) that relies on scent. You can also track a creature by its scent using a Wisdom (Survival) check if you have recently gotten a strong impression of its scent. This heightened sense of smell cannot be used to pinpoint invisible creatures, but it can be used to detect their presence if they have an odor. This syrupy, orange-colored fluid tastes both sweet and savory. You can drink or administer this potion as an action. Once it is fully imbibed, you gain a bonus to all weapon damage rolls and to all Strength checks for 1 minute. The bonus depends on the rarity of this potion: +1 for uncommon, +2 for rare, and +3 for very rare. These magically-enhanced bracers are adorned with shovel-like claws perfectly suited for digging, modeled after the hands of the mole-like mogma race. While wearing these mitts on both hands, you gain the following benefits. Burrow. As an action, you can gain a burrow speed of 5 feet until the start of your next turn. Claws. You can make a special kind of unarmed strike that deals slashing damage equal to 1d4 + your Strength modifier. This perfectly spherical orb is about six inches in diameter; to some it appears as a pristine blue sapphire, while to others it appears to house swirling chaos of many colors. While the moon pearl is on your person, you automatically succeed on any saving throw against a magic effect that would change your form or shape against your will. If you hold the moon pearl in your hand, you can extend this protection to all creatures within 15 feet of you while they remain within this radius. While wearing this crude-looking mask, you are magically glamoured so you appear to be of a specific race dependant on the cap. This magical disguise only works members of that race; to everyone else you maintain your normal appearance. Your size does not change, so, for example, a mere Small character wearing a lynel disguise would appear to other lynels to be a Small lynel, even though lynels are normally Large. The DM chooses the race or determines it randomly from the options below. 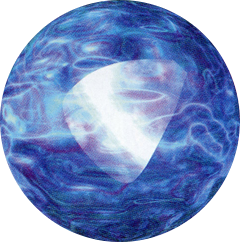 This item appears as an eight-sided semitransparent crystal, at the center of which is a blue sphere that dimly glows and swirls like an icy liquid. While you hold this crystal, you can use your action and expend the item's charge to cast Nayru's love. You must still use your bonus action to expend magic points to maintain concentration on this spell, as normal. The crystal has one charge, which it regains daily at dawn. One charge can be restored if a creature holding the crystal uses its action to expend a spell slot of 8th level or higher. 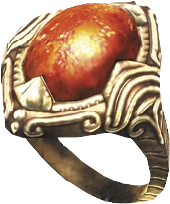 When you put on this ring, you are instantly transformed into a normal-looking octorok. You remain in this form until you use your action to end the effect, causing you to return to your normal form with the octo ring in your palm. While transformed, most of statistics are replaced with those of the chosen octorok, but you retain your same total hit points. Your mental ability scores—Intelligence, Wisdom, and Charisma—are not reduced if they would be higher. You retain your alignment and personality. While in the form of an octorok, your gear melds into your form. You can't activate, use, wield, or otherwise benefit from any of this equipment, other than the octo ring. You are limited in the actions you can perform by the nature of your octorok form. You can't speak, cast spells, or take any other action that requires hands or speech. This magic club ends in four prongs, said to represent four guardians of the land. It has 2 charges. If you hit a creature with this weapon and that creature has 100 hit points or less, that creature dies, and this weapon loses 1 charge. If you hit a creature that has more hit points or while this weapon has no charges, the creature takes damage from the club as if it was a nonmagical weapon. After no attack has been made with this weapon for 1 hour, it fully regains its charges. Cursed. This club is cursed. While attuned to it, you can never have more than 1 hit point, and cannot have any temporary hit points. This curse can only be lifted by breaking your attunement and then being the target of remove curse or similar magic. 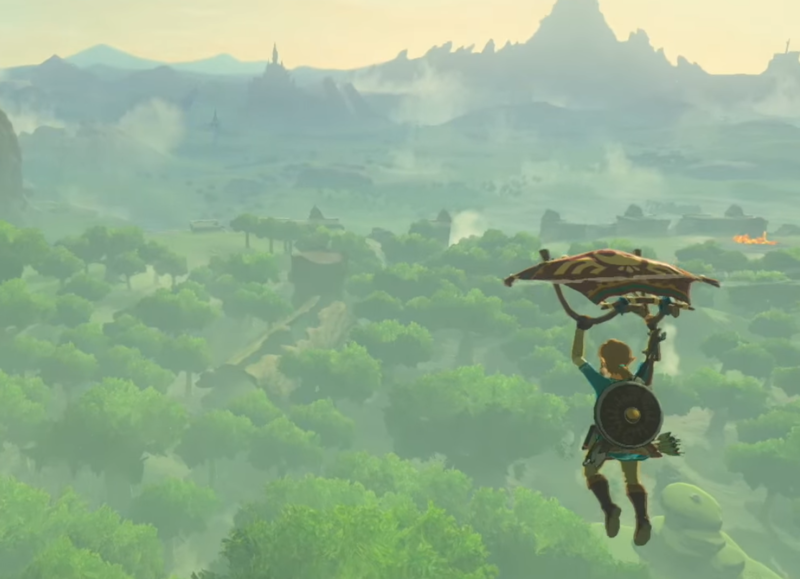 A hylian uses a paraglider to glide over woods. This magic construction of cloth and wood folds down to be small enough to fit in your pocket, but can be pulled out to its full form in the blink of an eye. Its full form is about three feet in diameter but can be stored away just as quickly. You can draw or stow your paraglider as easily as you can draw or sheathe a weapon. When it is not your turn, you can still draw your paraglider at any time by using your reaction. While is held overhead, the paraglider can be used to glide surprisingly long distances. While you are at least 10 feet in the air and you are holding the paraglider in both hands, you have a flying speed of 50 feet, but cannot use this flying speed to ascend. You still fall 10 feet at the end of each of your turns. This magical boots are accented with white-feathered wings, and make you feel light on your feet. While you are attuned to and wearing these boots, you gain the following benefits. Fast Dashing. When you use your action to Dash, your speed for the turn triples instead of doubles. Charge Attack. On any turn you use your action to Dash, if you move at least 10 feet straight towards a creature or object, you can use your bonus action to make one melee attack at the end of that movement. Dashing Leaps. The distance of your long jump doubles, but only if you have a running start. You can use the seed as ammunition for a seed shooter or slingshot. Or you can use the seed as part of an improvised weapon attack. A creature that takes bludgeoning damage from this magic seed must make a DC 15 Constitution saving throw. On a success, its speed is reduced to 0 until the end of its next turn, otherwise it is stunned until the end of its next turn. At any point on your turn, while the seed is in your hand or between your teeth, you can crush it. Doing so does not require any action, but you must be able to take an action to do this. Crushing the seed increases your movement speed by 10 feet for 1 hour, as longstrider. You can throw the seed at the ground below as an action, causing it to burst open underneath you. For 1 minute, your speed is doubled as if you took the Dash action every turn, you ignore difficult terrain, and the distance of your long jump increases by 5 feet. This magic pendant is said to preserve one's identity and convictions. While wearing and attuned to it, you have advantage on all saving throws that use Intelligence, Wisdom, or Charisma. This magic plate is infamously worn by phantoms of the Great Sea, who themselves are rumored to be literally invincible. While wearing this armor but not attuned to it, you reduce all nonmagical bludgeoning, piercing, and slashing damage you take by 1. While wearing this armor and attuned to it, you instead have resistance to all nonmagical damage. Additionally, you can use an action to make yourself immune to nonmagical damage for 10 minutes or until you are no longer wearing the armor. Once this special action is used, it can't be used again until the next dawn. This powerful relic was created by a deity known as the Ocean King to aid a hero in overcoming the evil aberration, Bellum. It takes the form of a literal hourglass small enough to be held in the hand, though magic enhancement makes its glass as indestructible as steel. 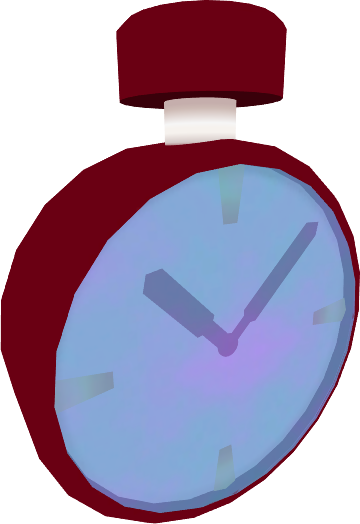 The maximum number of charges in this hourglass depends on its rarity: 4 charges (very rare), or 9 charges (legendary). You can permanently increase the maximum number of charges by 1 by inserting sand of hours, which consumes the sand and effectively destroys its use as an independent magic item. Doing so also causes the hourglass to fully regain any expended charges. The hourglass regains 1d4 + 1 expended charges daily at dawn. Its charges can be fully restored if a creature of at least 17th level uses its action within 30 feet of the hourglass to expend a 9th-level spell slot (or 15 magic points) for the sole purpose of recharging it. Even if you are not attuned to the Phantom Hourglass, as an action you can activate it and consume 2 charges by flipping it over and allowing the sand to pour in one direction for 10 minutes. Any creatures within 10 feet of the sand-pouring hourglass for this duration are immune to necrotic damage, psychic damage, and fear. Any creature that moves more than 10 feet away from the hourglass loses this immunity, and any creature that enters or returns to this radius gains it. If you are attuned to the Phantom Hourglass and it is on your person, you can activate it at the start of your turn by consuming 9 charges. In doing so, you briefly stop the flow of time for everyone but yourself until the start of your next turn. You are free to move anywhere as normal, and can even attack other creatures. All creatures other than you are effectively paralyzed for this duration. This shortbow of Sheikah make specializes in quiet strikes from afar. It has the same range as a longbow, but is easy to carry and conceal. When you use your action to make only one attack with it, you can make an attack within its longer range without taking disadvantage on the attack roll. You have advantage on any ability check made to hide this shortbow. Damage from the phrenic bow is not magical. This mysterious golden triangle bears a striking resemblance to a piece of the Triforce. 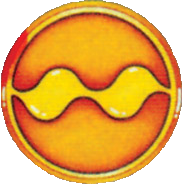 You can use your action to activate it by holding the piece overhead, causing it to flash red and yellow while emitting triumphant music, before vanishing. Your speed is doubled as if you took the Dash action every turn. Any Huge or smaller creature you hit with a melee attack is, at your option, pushed up to 20 feet directly away from you. Any creature you reduce to 0 hit points and push 20 feet away explodes in a fiery blast, leaving no corpse. Any creature within 10 feet of the explosion must make a DC 19 Dexterity saving throw, taking 8d6 fire damage on a failure and half as much on a success. The pictograph box, or simply picto box, is a cubical wooden device about 8 inches long on a side. 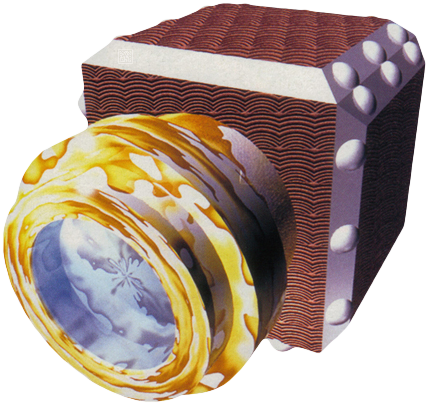 One of its faces features a circular glass lens, while another features a slot for emitting a sheet of parchment. This item has 3 charges. While holding it, you can use your action and expend 1 charge to cast the pictograph spell. The material component normally needed for this spell is magically created by the pictograph box itself. This pictograph box fully regains its charges daily at dawn. It is said this magic plate was forged from scales ripped from the monstrous form of Demise himself. While wearing it, you have a +2 bonus to AC, to Charisma (Intimidation) checks, and to Constitution saving throws. While holding this weapon, you can speak the command word as a bonus action to turn the weapon into a tiny cloth replica of itself about 1 inch in diameter. While holding this replica, you can use your bonus action again to speak the command word and return the weapon to its normal form. Believed to be the literal soul of a poe, a poe soul usually takes a gaseous form that faintly glows violet or black. If left in an unsealed container for more than a few seconds, it will dissipate harmlessly into the air. As such one is usually contained in a vial or bottle. As an action, you can drink the soul or administer it to an unconscious creature, then roll a d20. If the result of the d20 roll is even, the affected creature regains hit points equal to the result. If the result is odd, the affected creature takes necrotic damage equal to the result, but cannot be reduced below 1 hit point by this damage. The top of this dark violet elixir foams like freshly-poured beer. When you drink this entire potion, you become enlarged for 1 hour. Informally known as a "green potion" due to its color, a potion of magic is used to restore magic points. You can drink this potion as an action. Drinking it causes you regain a number expended magic points based on the potion's rarity, as shown in the following table. Once you have regained magic points with a potion of magic, you must complete a long rest before you can again regain magic points with a potion. This smoky pale fluid seems lighter and thinner than water. When you drink this entire potion, you become reduced for 1 hour. 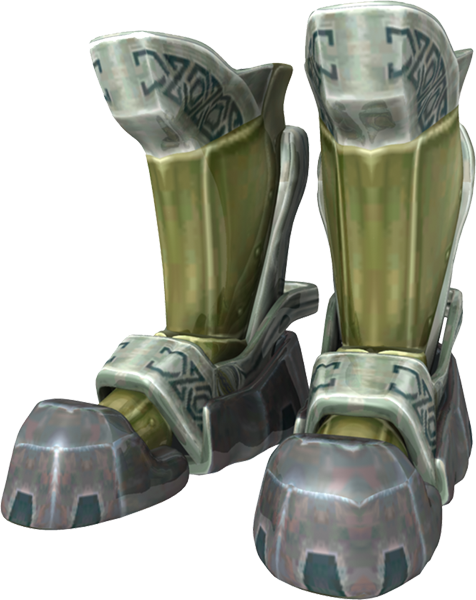 While you wear these magical gauntlets, the weight you can push, drag, or lift is potentially increased. The gloves do not affect your carrying capacity, your encumbrance, or anything else dependent on Strength. Common power gloves, or "power bracelets," enable you to push, drag, or lift up to 450 lbs if you otherwise could not. This is the equivalent of having a Strength score of 15. Uncommon power gloves, or "silver gauntlets," enable you to push, drag, or lift up to 660 lbs if you otherwise could not. This is the equivalent of having a Strength score of 22. Rare power gloves, or "golden gauntlets," enable you to push, drag, or lift up to 900 lbs if you otherwise could not. This is the equivalent of having a Strength score of 30. This magic ring features a bright ruby, which seems to glow whenever you clench your fist. While wearing this ring, damage rolls you make with melee weapons or with thrown weapons gain a bonus determined by the ring's rarity. The bonus is +1 for uncommon, +2 for rare, and +3 for very rare. This rod features a transparent tip of many jagged edges, which always seems to be a different color every time you look at it. You can use this rod as a melee weapon, but you only add your proficiency bonus to attack rolls with it if you are proficient with rods. A hit deals 1d4 piercing damage plus 1d4 force damage. Whenever you cast a spell that deals fire, cold, or lightning damage while wielding this rod, you can choose for that spell to instead deal another type of damage from those three types. While wielding this rod, you have a bonus to attack and damage rolls you make with cantrips, as determined by this rod's rarity. 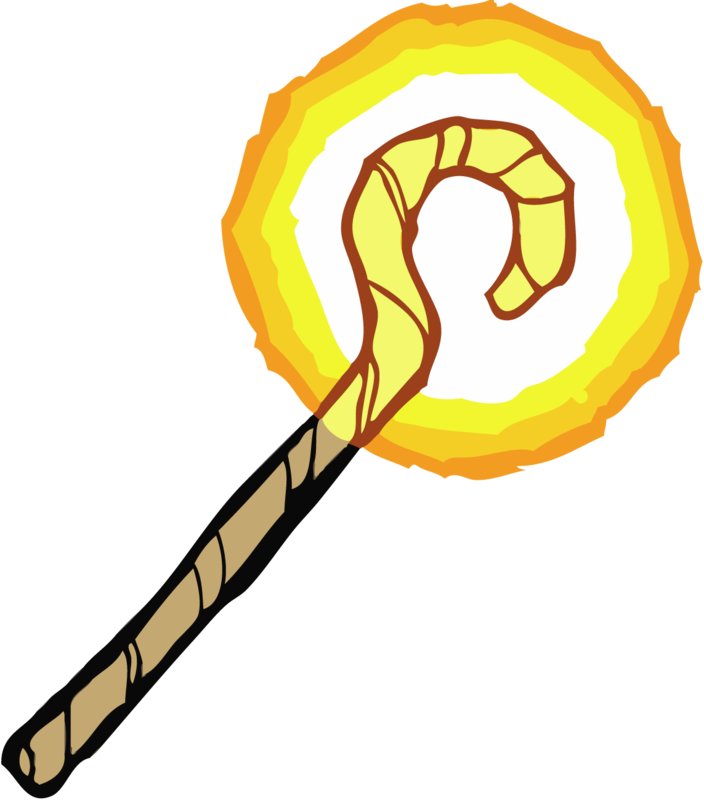 Whenever you cast a spell that has "prismatic" in its name while wielding this rod, increase its DC by an amount determined by this rod's rarity. Legendary or epic rarity only. When you take the Attack action on your turn, you can cast chromatic orb at its lowest level in place of any number of those attacks by expending 2 magic points per cast. Epic rarity only. When you take the Attack action on your turn, you can cast chromatic explosion at its lowest level in place of one weapon attack by expending 6 magic points. This magic ring has a gem as black as night, formed in the shape of a heart. While wearing it, any nonmagical bludgeoning, slashing, or piercing damage you take is reduced by 5. This reduction applies before any damage resistance or vulnerability. Cursed. This ring is cursed. Attuning to it curses you until you remove the ring and are targeted by the remove curse spell or similar magic. Removing the ring alone fails to end the curse on you. Whenever you take 5 damage or less at once (before applying resistance or reduction), you take an extra 5 damage. This medallion appears as a golden disc about six inches in diameter, with chaotic designs engraved on its surface. While it is on your person, you can activate the quake medallion by using an action to thrust a melee weapon into the ground at your feet and speak the command word. In doing so, you simultaneously cast both the spell spell (cast an 8th-level spell, DC 18) and the earthquake spell (DC 18), centered on the point where you thrust your weapon into the ground. Both effects last for 1 minute without requiring concentration, and you cannot choose to end these spells prematurely. Once you cast this spell, the medallion normally cannot be activated again until the next dawn. A creature can touch the medallion and use its action to expend a 8th-level spell slot, which will replenish the medallion's charge early. You can treat this magic armor either as a chain shirt or a full set of chain mail, depending on how you wear it. While you are attuned and wearing it, you reduce any bludgeoning, piercing, and slashing damage you take by ¾. This effectively acts as though you have damage resistance (halved damage) on top of a second damage resistance (halved again), even though this normally is not possible. This magic ring features a half-crescent shaped from a semitransparent gem. 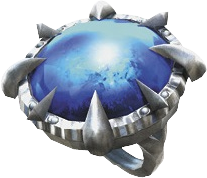 While wearing this ring, you have a bonus to attack and damage rolls weapons that have the returning property, but only when you use them to make ranged weapon attacks. This bonus is determined by the ring's rarity: +1 for uncommon, +2 for rare, and +3 for very rare. This golden bracelet bears a dim purple gem on its center. While wearing it, you have advantage on any saving throw to prevent being paralyzed, petrified, or stunned. Requires attunement. If you are the unwilling target of a mergewall spell, you are instead treated as if you are a willing target. Requires attunement. You can cast mergewall on yourself as an action. Once this spell ends, at least 1 minute must pass before you can again be the target of a mergewall spell. This magic seed has a plump red shape, with five ridges that make it appear like a clenched fist. At any point on your turn, while the seed is in your hand or between your teeth, you can crush it. Doing so does not require any action, but you must be able to take an action to do this. After you crush the seed, for 1 hour all of your weapon attacks have the number of their damage dice increased by one. A greatsword for example deals an extra 1d6 slashing damage, while a pike deals an extra 1d10 piercing damage. While you are attuned and wearing this magic ring, you reduce any bludgeoning, piercing, and slashing damage you take by ¾. This effectively acts as though you have damage resistance (halved damage) on top of a second damage resistance (halved again), even though this normally is not possible. While wielding this magical deflecting shield, you have a +1 bonus to AC in addition to the situational bonus to AC provided by a deflecting shield. If you take cold, fire, or lightning damage from a creature more than 10 feet away from you, you can use your reaction to reduce that damage by up to 10. This magic cutlass bears the crest of the Hyrulean Royal Family. A hit with this weapon deals an extra 2d4 radiant damage. If your attack with this weapon reduces a creature's hit points to 0, your speed increases by an amount equal to your base walking speed until the start of your next turn. You can gain this benefit only once per round. This magically enhanced feather is said to originate from a benevolent kargaroc or helmaroc. While you clutch it in your fist, you feel unusually light on your feet. The distance of your long jump and your high jump both increase by 5 feet, regardless of whether or not you have a running start. You also have advantage on any Strength (Athletics) or Dexterity (Acrobatics) check which focuses on jumping, such as quickly leaping between platforms. You only gain the benefit of roc's feather while you clutch it tightly in your fist, and are not holding anything else in that hand. While wearing this magic ring, you exert 0.5 ¼ your normal weight downwards on any surface or body that carries you. To others you will be easy to lift, but to your own body you feel as though you weigh the same either way. This magic white cape ends in blue accents. While wearing it, you can not only jump to great heights, but control your decent as if gliding. The distance of your standing and running high jump increases to be equal to your base walking speed, if it isn't otherwise higher. While you airborne and able to take actions, you can slow your descent to 5 feet per second (or 30 feet per turn). For every foot you fall, you can move laterally an equal number of feet. The rod of force, also known simply as the magical rod, features a bright blue gem on its tip. While wielding this rod, whenever you cast a cantrip that deals damage, you can deal force damage instead. Melee Weapon Attack. You swing the rod, adding your Strength modifier to the attack roll, plus your proficiency bonus if you are proficient with rods. A hit deals force damage equal to 1d8 + your Strength modifier. A Large or smaller creature which takes this damage must succeed on a DC 15 Strength saving throw, or at your option be pushed 10 feet directly away from you. Ranged Spell Attack. You swing the rod while focusing on its tip, causing a wave of force to shoot from the tip in a straight line, out to a range of 150 feet. You add your Intelligence modifier to the attack roll, plus your proficiency bonus if you are proficient with rods. A hit deals force damage equal to 1d8 + your Intelligence modifier. If you use your Attack action on your turn to make a melee attack with this rod and successfully push a creature away from you, you can use your bonus action this turn to make the ranged spell attack against that creature. 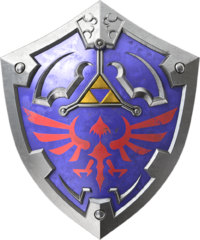 A royal shield is both expertly forged and blessed with strong magic, and as its name implies this type of shield is most famously used by knights close to the Hyrule Royal Family. You have a +2 bonus to your AC, in addition to the shield's normal bonus to AC. If one can even be found available for purchase, a royal shield costs 50,000 rupees more than a normal shield of its type. A royal weapon is both expertly forged and blessed with strong magic, and as its name implies is typically used by kings or other high-ranking nobles. You have a +2 bonus to attack and damage rolls made with this magic weapon. If one can even be found available for purchase, a royal weapon costs 50,000 rupees more than a normal weapon of its type. 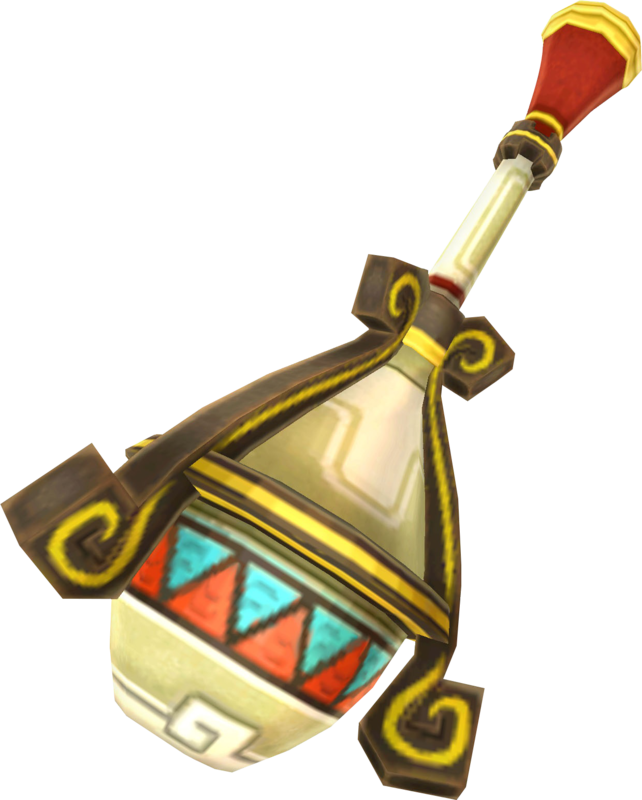 A rupoor is indistinguishable from a valuable and brightly-colored rupee until you touch it. 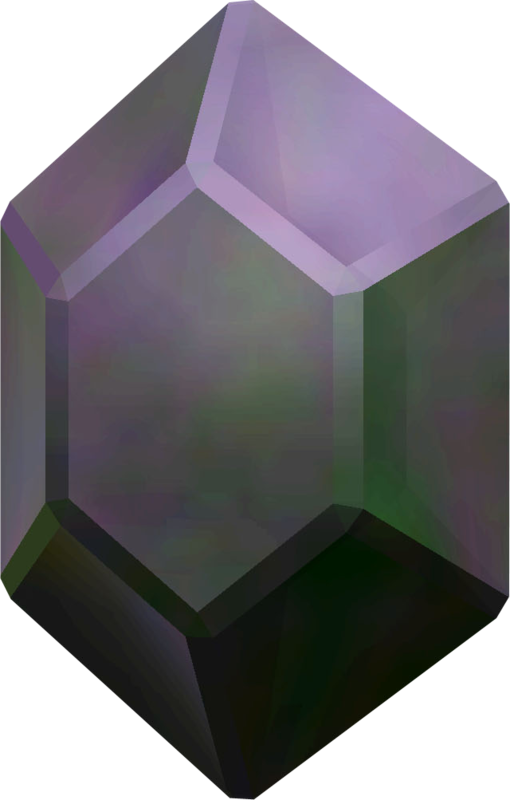 If you touch the rupoor while you have rupees on your person, the rupoor's color abruptly fades to black. It causes a specific number of rupees stored on your person to vanish into thin air, forever lost. Moments after the rupoor unleashes this magic, it crumbles into worthless black ash. If a rupoor is touched by a creature without sufficient rupees to be lost, it remains as what it appears to be until an appropriate victim makes contact. This ancient and mysterious dust is of unknown origin, but houses surprising power. A powerful relic, the Phantom Hourglass, was constructed by the Ocean King specifically to make more efficient use of its properties. You can consume the sand by using your action to either pour it into the Phantom Hourglass if you have it, or sprinkle it over one creature. In either case, the Sand of Hours becomes effectively destroyed, absorbed either into the hourglass or the affected creature. A sprinkled creature is granted immunity to necrotic damage, psychic damage, and the frightened condition for 10 minutes. This magic longbow was wielded by a legendary hero said to have fought alongside the goddess Hylia, ages ago. It still lingers with divine magic. You have a +3 bonus to attack rolls with this weapon, and any hit with it deals an extra 1d8 radiant damage. When you make an attack roll with this weapon, you can ignore up to one instance of disadvantage on that attack roll. When you make a ranged weapon attack with this magic slingshot using nonmagical ammunition, it creates several small bullets in mid-air trajectories surrounding the one you fired. This gives every shot you make with this weapon a "scatter" effect, increasing the likelihood of hitting a target and dealing more damage to any target you hit. This grants you a +2 bonus on ranged attack rolls with this weapon when using nonmagical ammunition, and any such attack deals an extra 2d4 bludgeoning damage on a hit. A swarm does not resist the bludgeoning damage caused by this weapon. Any ammunition magically created by the scattershot disappears after the attack. You can use the seed as ammunition for a seed shooter or slingshot. Or you can use the seed as part of an improvised weapon attack. A creature that takes bludgeoning damage from this magic seed is covered in a powerful but harmless stench which lasts for 24 hours, or until the creature is submerged in water. Any ability check made to locate or track this creature by scent has advantage. You can gently crack open the seed. For the next minute, the first time any beast or humanoid comes within 30 feet of the seed, it must succeed on a DC 11 Intelligence saving throw or be charmed by you until the end of this minute. While charmed in this way, creature uses all of its movement to move towards the seed, so long as doing so is not perceived to be dangerous. If you harm or overtly threaten the creature, this condition ends immediately. This magical boomerang can fly rapidly between different targets. 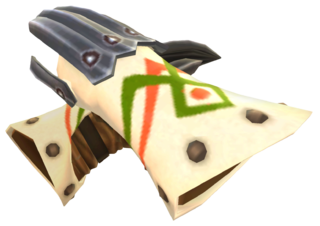 If you throw this boomerang as part of a ranged weapon attack, it will return to you regardless of whether you hit or miss your target. When you take the Attack action on your turn to attack a creature with this boomerang, you can make one extra attack with this boomerang against a different creature as part of the same action. Secret medicine is a bottle of shimmering oil which can be applied to a willing creature as an action. Once it is applied, its effect lasts for 7 days. If in this duration the creature is reduced to 0 hit points but not killed outright, it is brought back to life at the start of its turn with a number of hit points equal to double its Constitution modifier. This wondrous item appears as a hollow tube about the length of a forearm, with a small funnel on one end designed to draw in a nut or other seed. Once this ammunition has been placed inside, each nut can be fired one at a time by squeezing the proper end of the tube. This causes magic force to launch out a single seed at high speed as a ranged weapon attack. You can load upwards of 30 seeds at once, but each squeeze only fires a single seed. As long as you have seeds or sling bullets to use as ammunition, this can be treated as a martial ranged weapon with the following property: ammunition (range 60/240). On a hit, the seed shooter inflicts bludgeoning damage equal to 1d6 + your Dexterity modifier. The damage is not magical. Unique to the seed shooter is that any projectile fired from it temporarily gains the ability to bounce off walls, floors, or other hard surfaces. Any projectile bounces off at an angle almost identical to the angle it hit the object (similar to a modern tennis ball). The projectile will continue to bounce until it has bounced thrice, or reached the end of its trajectory. This can enable you to shoot the weapon off walls or around corners, though there still must be a clear line of trajectory to do so. For example, you could bounce a seed off a wall to hit a target behind cover—but could not hit a target behind cover if there are no walls or other surfaces off which your projectile could bounce. If you make an attack that requires at least one bounce to hit, you have disadvantage on the attack roll. This pike of Sheikah design features a tip like a crescent moon designed for entrapping targets. If you are proficient with this weapon, while wielding it you can attempt to shove a creature as though you had a reach of 10 feet. Damage from the serpentine spear is not magical. This shield of Sheikah make enhances mental clarity and awareness to danger. While wielding it, you cannot be surprised in combat. This magic arrow is has pronged, jagged arrowhead reminiscent of a lightning bolt. Once this arrow is drawn, you can use your bonus action to focus on the arrow, causing it to audibly crackle with static. If you use this crackling arrow as part of a ranged attack before the start of your next turn, the attack deals lightning damage instead of its normal damage type. The hit target must succeed on a DC 15 Constitution saving throw or be stunned by electric shocks, and drop anything it is carrying, until the end of its next turn. If the target has resistance or immunity to lightning damage, it automatically succeeds on this saving throw. You can expend 1 magic point when you use the bonus action to have this attack deal an extra 1d6 lightning damage. If you have the Spellcasting feature when you do this, the DC becomes equal to your spell save DC if it would otherwise be lower. This weapon is either forged from silver or coated in a silver sheen, and forged with a particularly hydrodynamic design. These weapons are favored by zora both for their aesthetics and their resistance to rust. 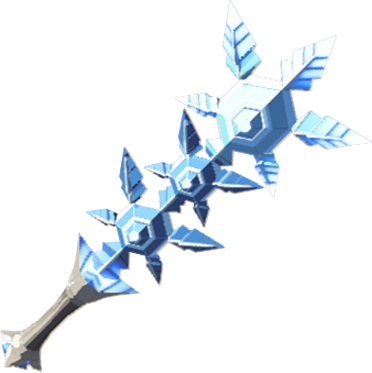 A silver weapon overcomes the damage resistance of certain creatures, cannot be rusted, and does not impose disadvantage on attack rolls made with it underwater. The damage from this weapon isn't magical, however. A silver weapon costs 1,000 rupees more than a normal weapon of its type. A single piece of silver ammunition costs 100 more rupees than normal. This magic maul bears a huge head resembling a skull, and strikes from it feel supernaturally forceful. When attacking with this weapon, you add your proficiency bonus to damage rolls instead of attack rolls. Attacks with this weapon deal double damage to objects and structures. Shockwave (Requires Attunement). 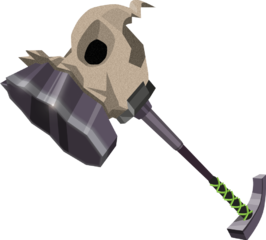 As an action, you can make one special kind of melee attack using the skull hammer. If you hit, damage is dealt as normal. Regardless of whether or not you hit your target, however, the attack emits a shockwave of magical force. The target and all creatures within 5 feet of the target, other than you, take 1d4 force damage. Soaring Strike (Requires Attunement). When you use the Attack action on your turn and hit a Small or smaller creature with the skull hammer, you can send that creature flying. It must succeed on a DC 15 Strength saving throw or be thrown 10 feet directly away from you and land prone. This magical mask bears a boney visage reminiscent of a stalfos, and is said to ward off fiends. While you are wearing it, any keese or ache will never be hostile towards you or anyone in your immediate vicinity unless directly provoked. This dark violet fluid seems to reflect no light, always appearing eeriely dark. You can drink or administer the entirety of this potion as an action. Once imbibed, you become difficult to notice, any any sounds you unintentionally make seem muffled to others. This grants you advantage on all Dexterity (Stealth) checks. The duration of this effect depends on the potion's rarity: 10 minutes for common, 1 hour for uncommon, and 8 hours for rare. This magic armor originates from rito tribes in the frigid, mountainous Hebra Province. It acts as studded leather, but while wearing it you can endure extreme cold and high altitude without difficulty. You can wear this tunic with heavier armor to gain this benefit without using its AC. You can attune to this magic item to gain an additional benefit: while wearing it you have resistance to cold damage. If you use this magic hammer to score a critical hit or a called shot on a Medium or smaller creature, that creature must succeed on a DC 15 Strength saving throw or be sent flying 30 feet directly away from you and land prone. A called shot made with this weapon does not deal maximized damage. While wearing this magic ring, you have advantage on Strength saving throws to prevent being forced from your position or knocked prone. The stepladder is a magical construction of wood that can function either as a 5-foot ladder or a 5-foot bridge. After you attune to this magic stepladder, it disappears into extradimensional space. When you walk or run onto difficult terrain, a body of calm water, or obviously dangerous surfaces like a spiked floor, the stepladder instantly appears beneath your feet, protecting you from that terrain without impeding your movement. In effect, this creates a 5-foot square of safe ground over any hazardous ground. The stepladder will only appear in an otherwise unoccupied space. 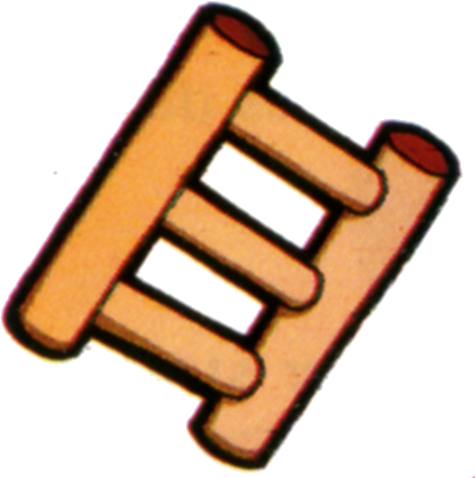 The stepladder is as buoyant as a raft, but it does not float in midair. Instead, it only lays directly on the hazardous surface from which it endeavors to protect you. As such, it may not protect you from pits, sudden drops, or other dangers devoid of ground or fluid. The stepladder disappears once you return to safe ground. If you step off of the stepladder into dangerous terrain, it will neither move nor disappear. You can use your action to speak the command word, causing the stepladder to disappear if it is present, or appear beneath you if it is not present. It is said whoever wears this unsightly gray mask will be as unnoticeable as a plain stone. You can don or doff this magic mask as an action. While it is worn, you are invisible. This magic bomb is about three feet in diameter, and weighs 30 pounds. You can use your action to light the bomb, then roll or throw it up to 20 feet away. At the end of your turn, every creature within 20 feet of the super bomb must make a Dexterity saving throw. The DC is 14, but if you are proficient in bombs you can add your proficiency bonus to this DC. A creature takes 4d12 fire damage and 4d12 thunder damage on a failed save, and half as much on a success. You have a +2 bonus to attack and damage rolls with this magic bug-catching net. You also have advantage on any Strength (Athletics) check made to maintain a grapple on a Tiny creature trapped by the net. The net itself is immune to nonmagical slashing damage and nonmagical fire damage. This magic lamp casts bright light in a 60-foot radius and dim light for an additional 60 feet. Once lit, it can burn indefinitely without consuming fuel. Fire Burst. While wielding the super lamp in one hand, you can make a melee spell attack (+5 to hit) by swinging it, which causes magic flames to shoot forward with a reach of 5 feet. On a hit, the lamp deals 2d8 fire damage. If you have the Spellcasting feature, you can instead use your casting ability and proficiency bonus to determine the bonus to hit. If you hit a creature with this weapon while expending a charge, the target takes an extra 1d6 lightning damage, and at the end of the current turn the target must make a DC 13 Constitution saving throw. A creature that has resistance or immunity to lightning damage automatically succees on this save. On a failure, the creature drops anything it is carrying, and is stunned by electric shocks until the end of its next turn. You can wield a thunderspear as either a spear or javelin, but it otherwise functions as a thunderblade. A great thunderblade is a greatsword, but it otherwise functions as a thunderblade. You can wield a great thunderspear as either a pike or a halberd, but it otherwise functions as a thunderblade. 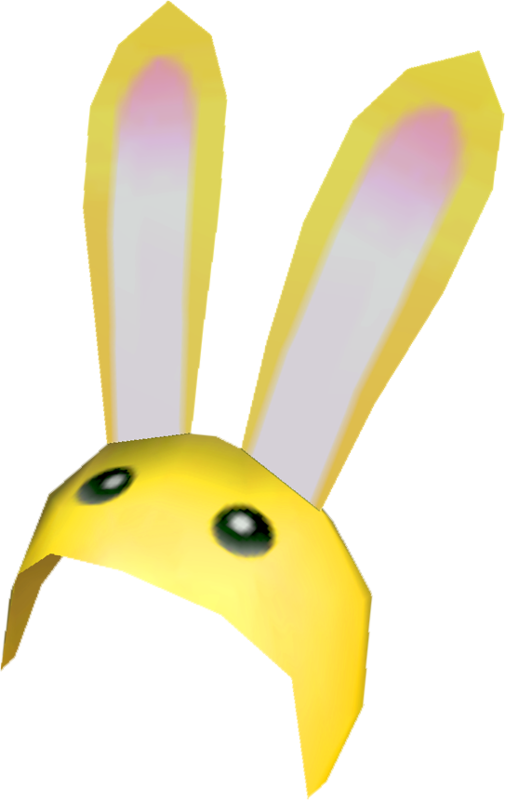 This magical, golden helmet is a production of ancient gerudo magic, and one of this is said to be a heirloom passed down among their leaders. According to legend, those who wear it do not even flinch when struck by a thunderstorm's bolt of lightning. You can don or doff this magical helmet as an action. While it is worn, you have a +1 bonus to your AC, you are immune to lightning damage, and you have resistance to thunder damage. 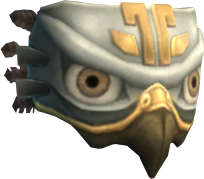 This magical mask bears the visage of a member of one specific race. As an action, you can don the mask, causing your body to transform entirely into a member of that race, and fusing the mask into your face. While in this new form you may have some minir resemblance to your normal form, such as being particularly tall or retaining distinct facial features, but you are otherwise unrecognizable. To all forms of inspection you appear to be a member of this race. While in this form, your size and type changes as appropriate. You gain all of the race's traits other than Ability Score Increase(s) and Languages. Any traits which require a choice—such as a subrace—are determined by the mask, and cannot be changed each time you use the mask. 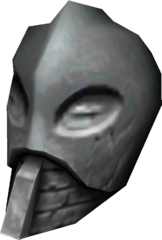 E.g., using a dragonborn mask would grant you the traits Draconic Ancestry, Breath Weapon, and Damage Resistance—and the chosen Dragon Ancestry would be the same every time this mask is used. You retain all of your original race's traits as well. As an action, you can remove your face, causing you to revert to your previous form and removing the transformaton mask from your face. The DM decides which race and subrace the transformation mask belongs, or decides it randomly by rolling a d100 on the reincarnate spell's table. For the Hyrule campaign setting, the DM can instead roll a d100 the corresponding race table. Sometimes, a transformation mask is created after a specific individual has passed away. This type of mask embodies some portion of the deceased's spirit. A mimic mask functions as a transformation mask, except that unto anyone who knew the deceased individual, you appear magically glamoured to be identical to the deceased individual in your appearance and manner of speech. Anyone who didn't know this person before their death is unaffected, and can discern you are at least slightly different than they were. This gold, brightly glistening medal is about two inches in diameter. While it is on your person and you are attuned to it, you have advantage on all Wisdom (Perception) and Intelligence (Investigation) checks made to find treasure. When you or a friendly creature you can see rolls a 2d4 for a Treasure Roll, the result is increased by 1 if no other effect is also increasing the roll. Notoriously wielded by assassins of the Yiga clan, when you hit with a melee attack using this magic dagger you deal an extra 1d4 piercing damage. If you use it to make an attack against a surprised creature, you have advantage on the attack roll. 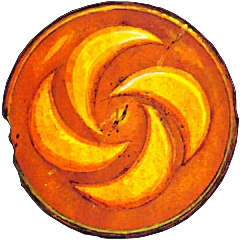 This magic draconic scale is usually worn as an amulet, but can also be adorned as a bangle or other ornamental garment. While wearing this scale, you can use your swim speed on land in place of your base walking speed. Moving in this way causes you to appear to swim through the air, and makes you feel lighter than you actually are, but you're still touching the ground and technically still weigh just as much. This magic scale mail was forged with hide from a species of legendary dragons known as volvagia. While wearing it, you have resistance to fire damage. This armor regains 1d4 + 1 charges daily at dawn. A creature can use its action to touch this armor and expend 5 magic points to restore one charge. This item functions as a common bomb, but it can activate and explode even underwater. While wearing this ring, when you score a critical hit you roll thrice the normal dice instead of twice. Cursed. This ring is cursed. Attuning to it curses you until you are targeted by the remove curse spell or similar magic. Removing the ring fails to end the curse on you. Whenever you make a damage roll that isn't part of a critical hit, the result is reduced by 2 (to a minimum of 1). This small magical blowgun has on its offensive end three fan-blade-like leaves which spin when you attack with the weapon. As an action, you can blow through the whirlwind to produce a small spinning cyclone of green wind which travels in a 5-foot-wide line up to 60 feet away from you. The cyclone will stop abruptly if it touches a surface which cannot be safely traversed, such as a flat wall, a sheer cliff, molten lava, or a spiked floor. Any Tiny unattended object caught in the path of this cyclone is carried to the end of the line. The cyclone can also carry up to one creature to the end of the line. The first creature in the cyclone's trajectory must make a Strength saving throw. Any creature that weighs more than 100 lb. (an adult humanoid) automatically succeeds on the save. Any creature that weighs less than 5 lb. (a kitten) or is gaseous has diadvantage on the save. On a failure, the creature is carried to the end of the line and set down safely at the end of the line. Any creature of Large size or smaller can voluntarily fail this save to gain the cyclone's movement boost, regardless of its weight. These magic leather boots feature feathered wings on the exterior brims. While wearing both boots, you can wade through nonmagical mud, dirt, sand, or water up to your waist without treating it as difficult terrain. This magical violet tunic was created by rito for their hylian allies. While wearing it and attuned to it, you have a flying speed of 50 feet, and resistance to falling damage. You can either wear the tunic as studded leather, or wear it with heavier armor to gain its benefit without using its AC. You can wear this magic armor either as a chain shirt or as chain mail. 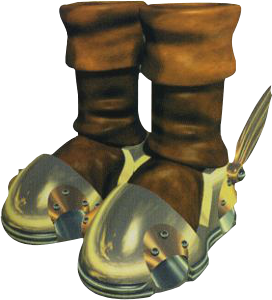 If you are wearing this armor and use the Dash action while your speed is not reduced, you can traverse over the surface of water or similar liquids until the end of your turn. Requires attunement. While wearing this armor and attuned to it, you have resistance to poison damage, and advantage on saving throws against both poison and disease. These magical blue flippers are sometimes given from river zora to terrestrial friends. It takes an action to don or doff them. While they are donned, you have a swim speed equal to your base walking speed, but you treat all land as difficult terrain. This tiny scale from a sea zora has been enhanced with the magic of a water sage. While it is on your person, you have a swim speed of 20 feet, though you can't swim faster than your base walking speed. Requires attunement. Your swim speed increases to your base walking speed if it would otherwise be lower, and you gain a +5 bonus on any Strength (Athletics) check made to swim. Your body is also protected from any water pressure that would result from deep sea diving. 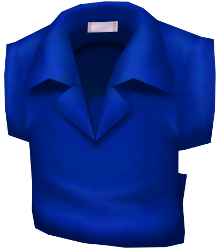 This magical blue tunic was created by sea zora for their hylian allies. While wearing it, you can breathe both air and water. Your body is also protected from any water pressure that would result from deep sea diving. You can either wear the tunic as studded leather, or wear it with heavier armor to gain its benefit without using its AC.